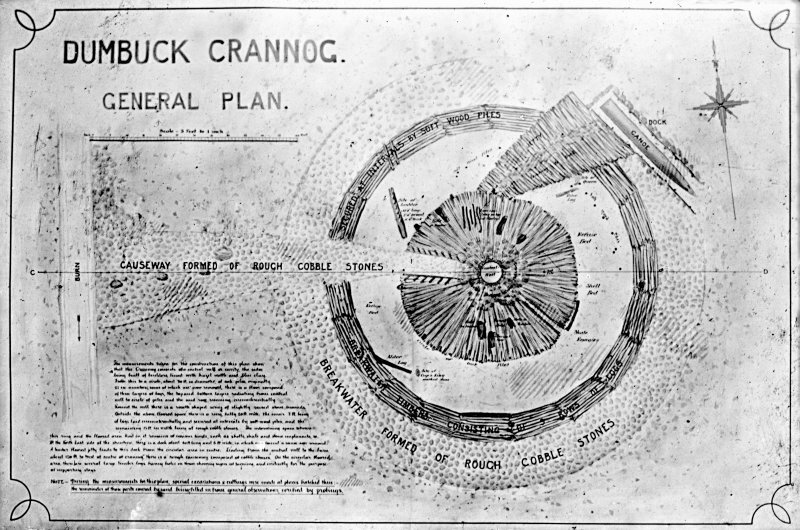 Sections and site plan of Dumbuck crannog. 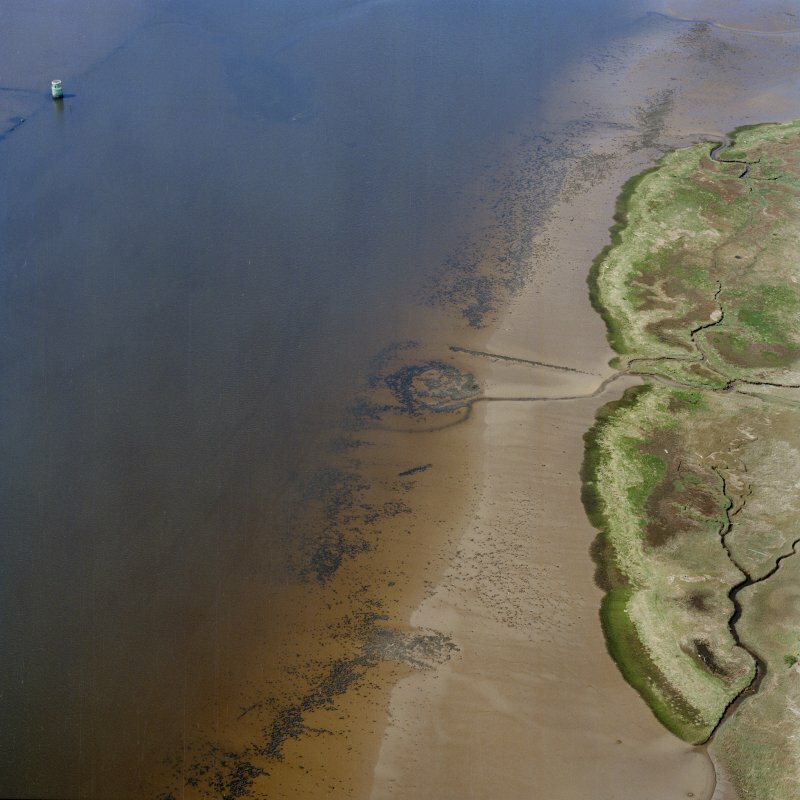 Oblique aerial view centred on the remains of the Dumbuck crannog, taken from the NE. Dumbuck crannog excavation. Titled: 'Archaeological society, Dumbuck crannog'. Dumbuck crannog excavation. Titled: 'Site of the Dumbuck crannog and the country around looking North'. Dumbuck crannog. 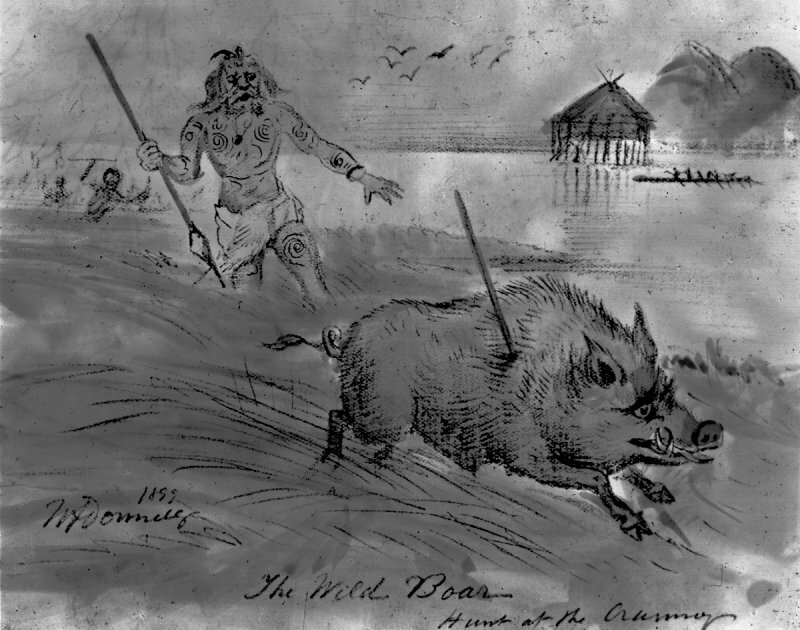 Titled: 'The wild boar hunt at the crannog'. Oblique aerial view centred on the remains of the Dumbuck crannog, taken from the E.
Dumbuck crannog excavation. 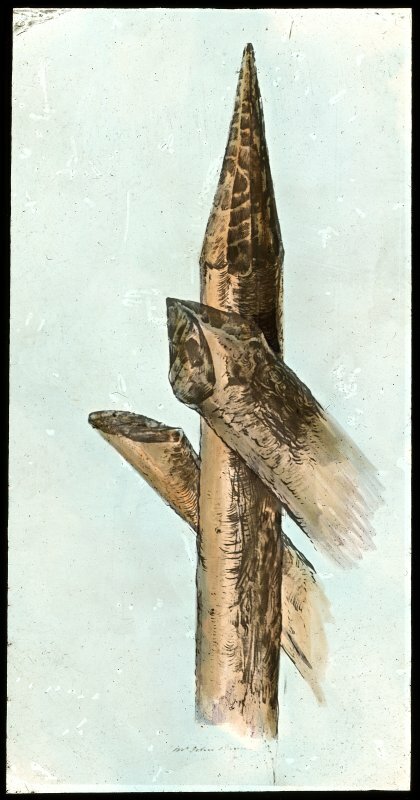 Titled: 'Objects of wood. Cup and duct marked stones from refuse bed of the Dumbuck crannog'. Dumbuck crannog, view of pile and timbers. Dumbuck crannog excavation. 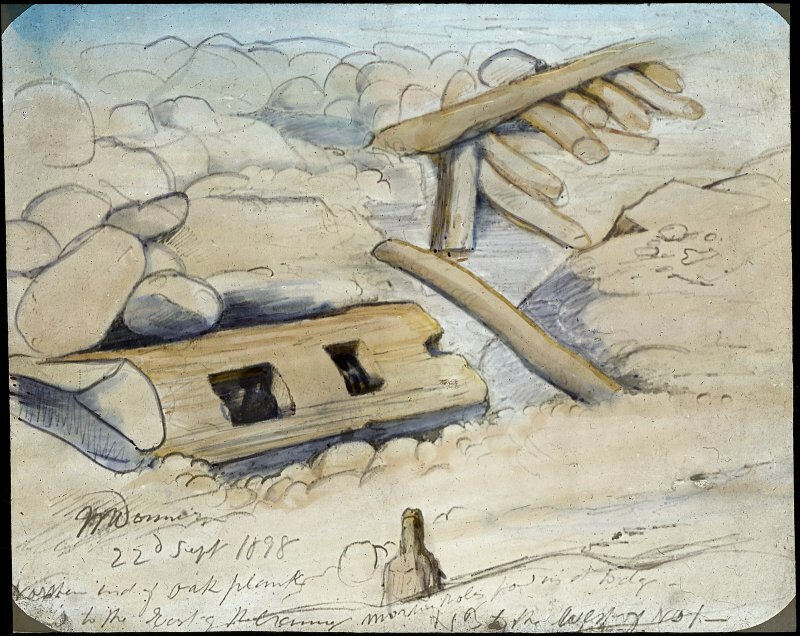 Titled: 'the great war canoe', oak ladder, quern, pathway, causeway timber and builders and stone artefacts. Dumbuck crannog excavation. Titled: 'Northern end of oak plank. [found] to the East of the crannog...'. Dumbuck crannog excavation. Titled: 'Verifying the crannogs west pile'. Dumbuck crannog excavation. 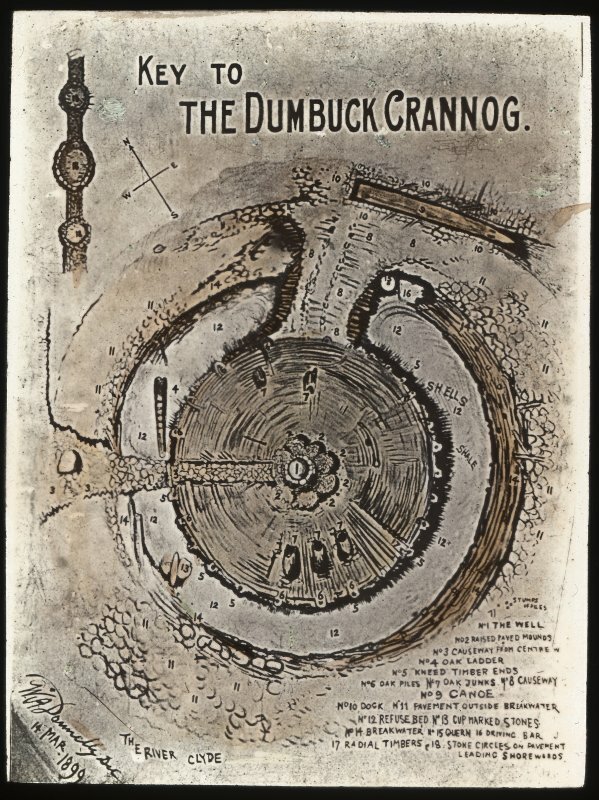 Titled: 'Dumbuck crannog, general plan'. Dumbuck crannog excavation. Titled: 'Large shale image from Dumbuck crannog'. Dumbuck crannog excavation. 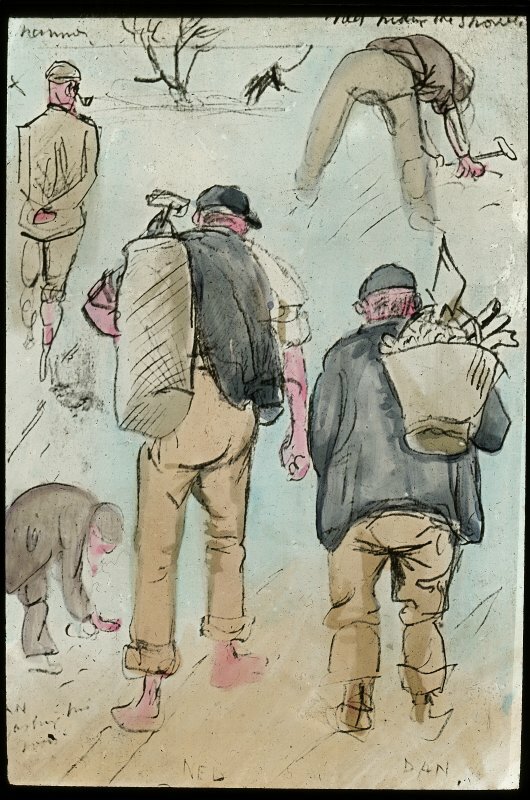 Titled: 'Ned hiding the shovels. Dan washing his boots'. Dumbuck crannog excavation. Titled: 'The inrushing tide hunts Ned and Dan'. 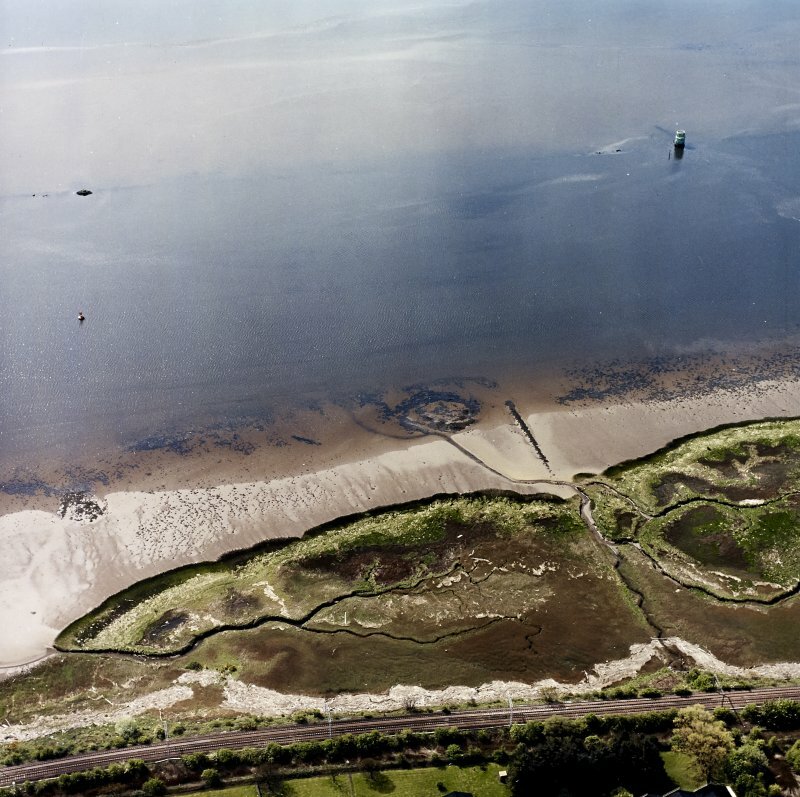 Oblique aerial view centred on the remains of the Dumbuck crannog, taken from the SE. Dumbuck crannog excavation. 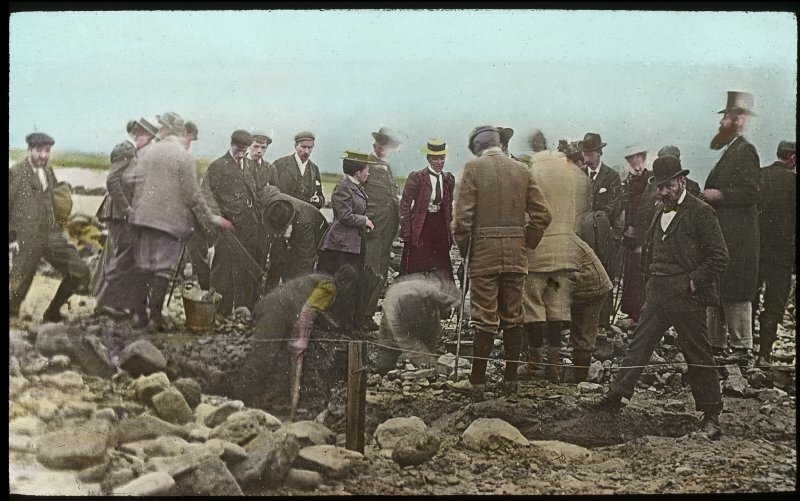 Titled: 'Glasgow Archaeological Society at Dumbuck crannog'. 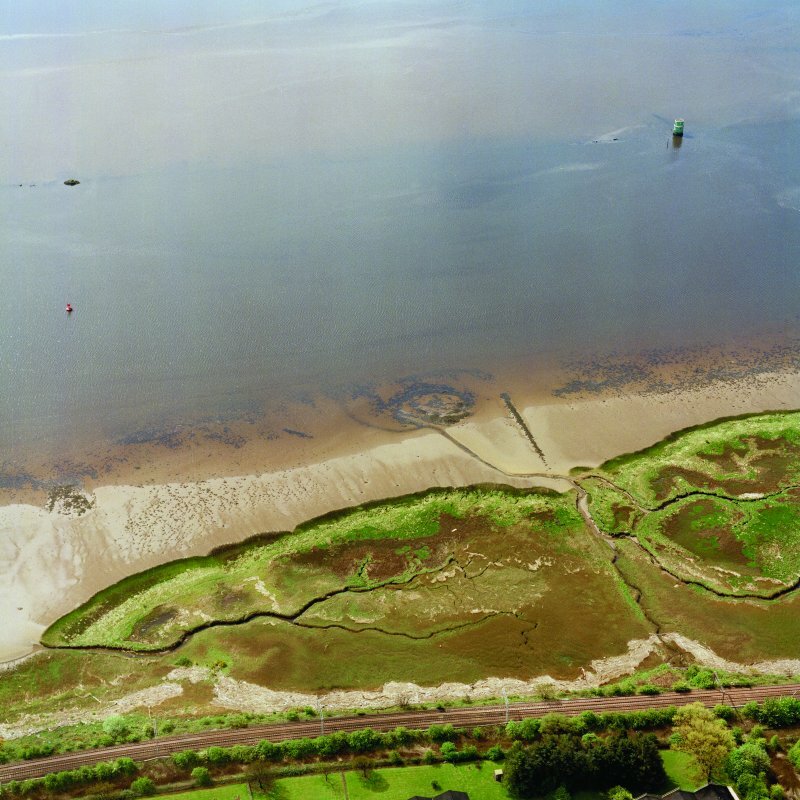 Oblique aerial view centred on the remains of the Dumbuck crannog, taken from the ESE. 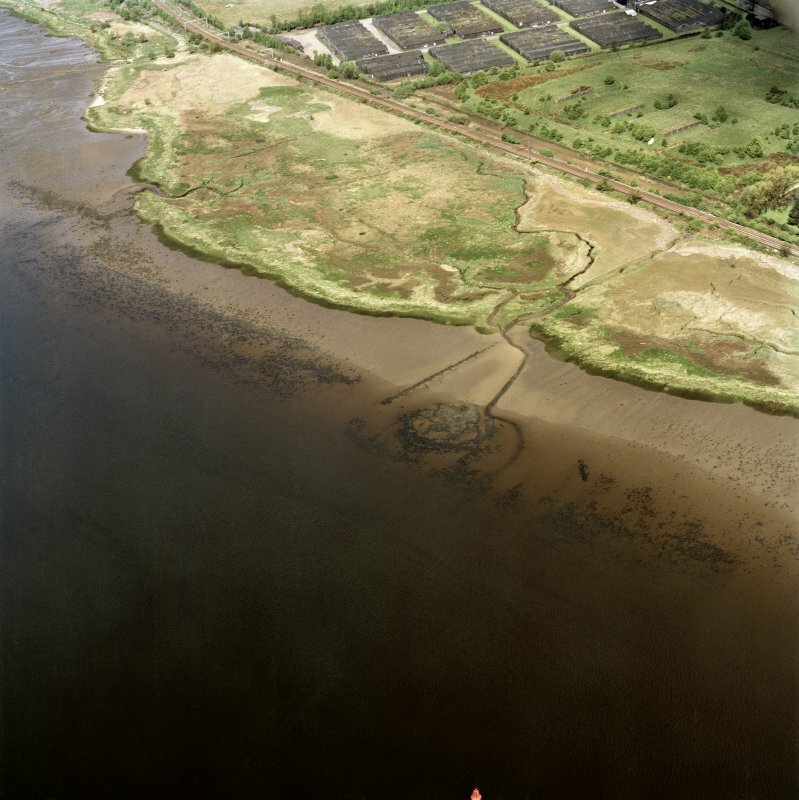 Oblique aerial view centred on the remains of the Dumbuck crannog, taken from the NNE. 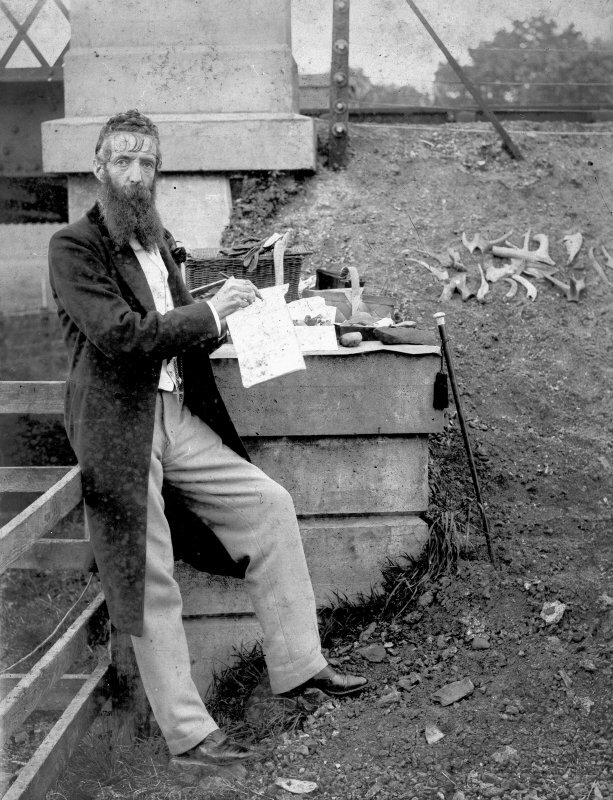 Scanned image of William Donnelly at an unknown site. Dumbuck crannog, view of excavation. Dumbuck crannog excavation. 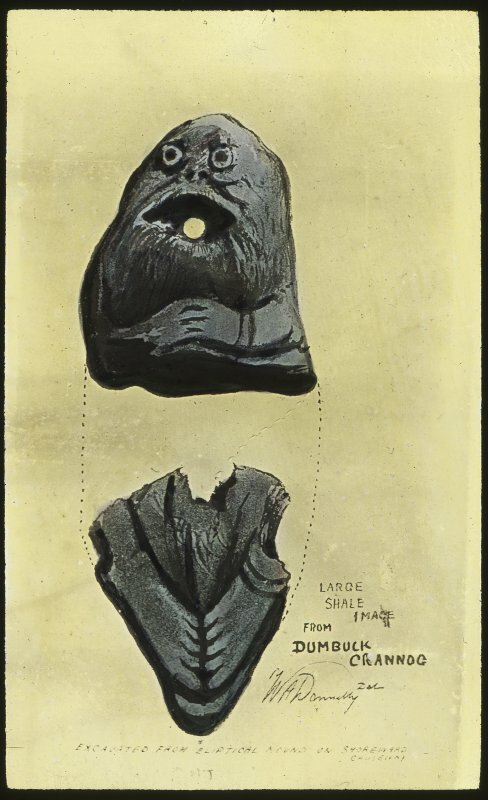 Titled: 'First image of shale, discovered in the refuse of the relic bed of the Dumbuck crannog'. Dumbuck crannog excavation. 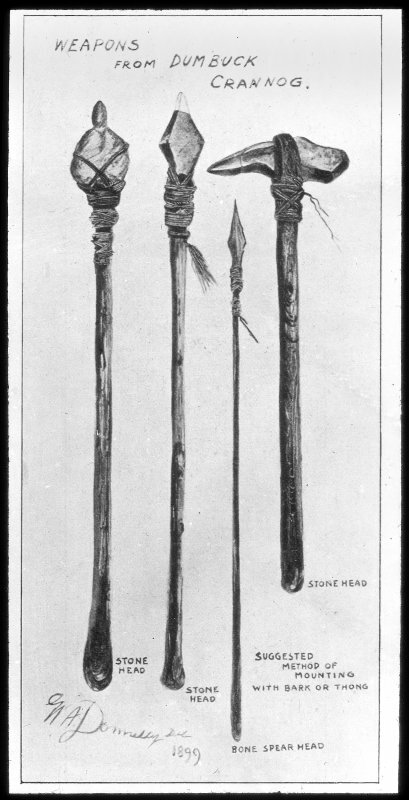 Titled: 'Weapons from Dumbuck crannog'. Dumbuck crannog, view of excavation finds. Dumbuck crannog excavation. Titled: 'Searching the structure'. 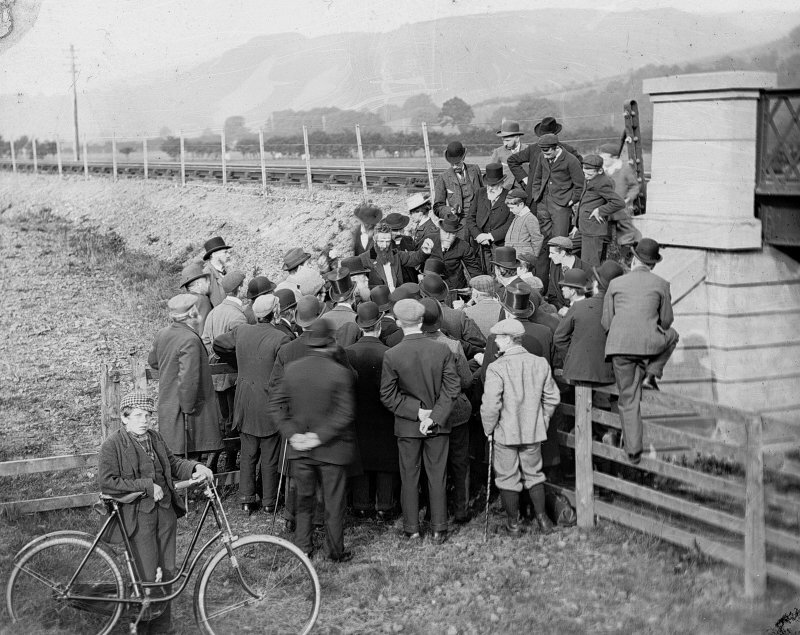 Scanned image of William Donnelly at Hunter's Burn railway bridge, to the north-west of Dumbuck cranng. Dumbuck crannog. 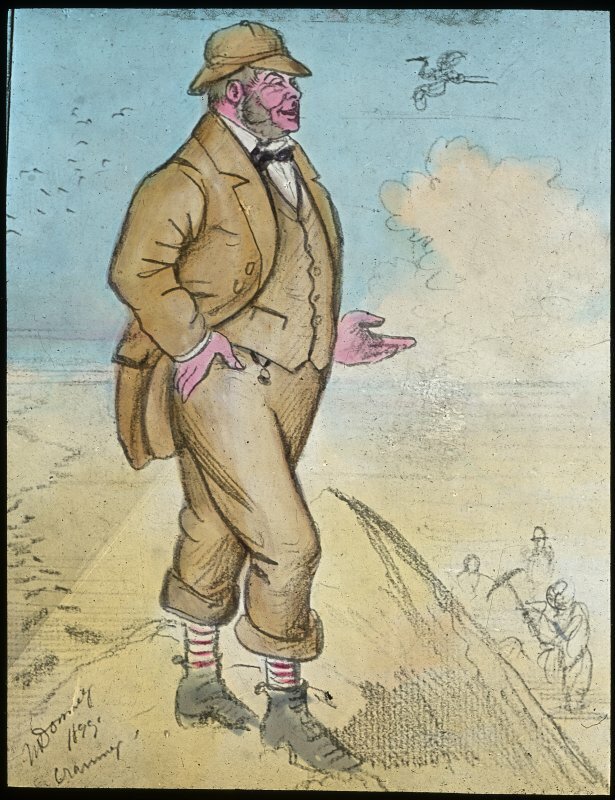 Titled: 'Mr Donnelly at Loch Lomond [?]'. Dumbuck crannog excavation. 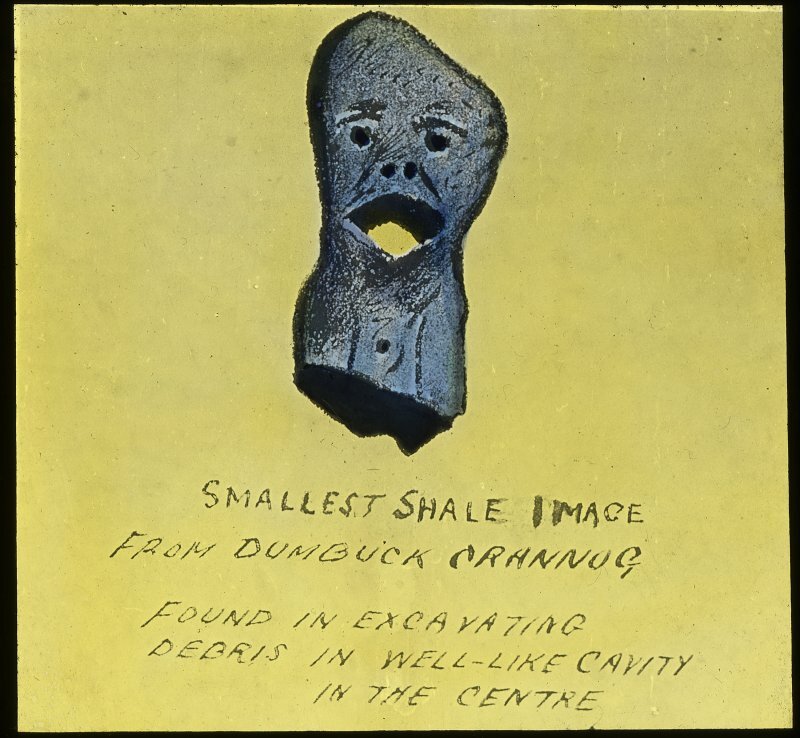 Titled: 'Smallest shale image from Dumbuck crannog found in excavating debris in well-like cavity in the centre'. Dumbuck crannog excavation. Titled: 'Quern found at Dumbuck crannog'. Dumbuck crannog excavation. 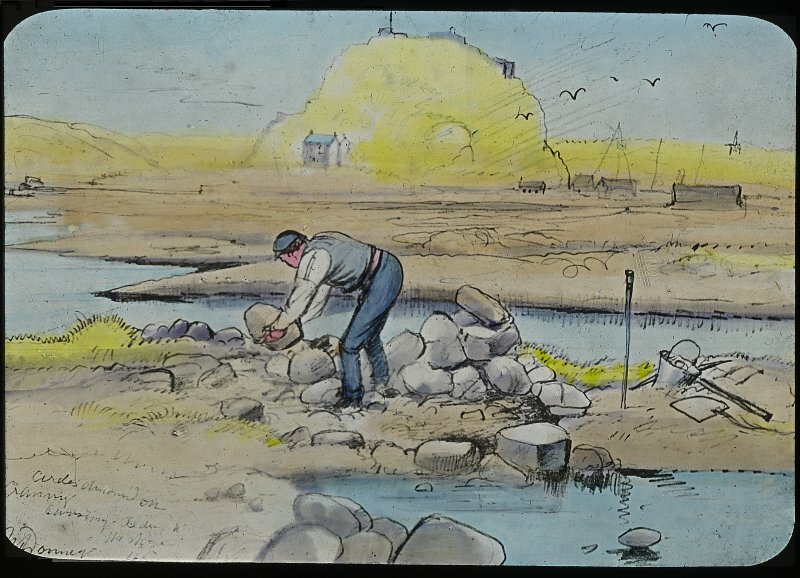 Titled: 'Causeway running from well...'. Dumbuck crannog excavation. Titled: 'Circles discovered on crannog causeway today'. Dumbuck crannog excavation. Titled: 'Crannog No 9-10. Cleaning the refuse [bed?]'. Dumbuck crannog excavation. 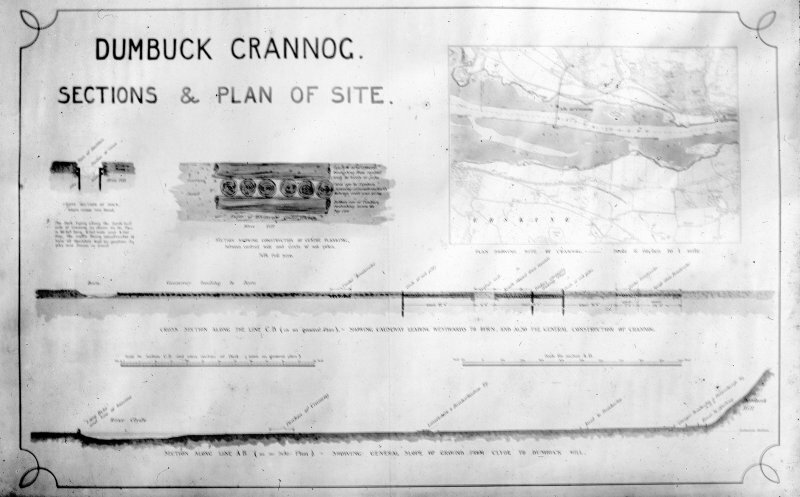 Titled: 'Dumbuck crannog, sections and plan of site'. Dumbuck crannog, view of excavation artefacts. Dumbuck crannog excavation. Titled: 'Some peculiarly shaped stones excavated from refuse bed of the Dumbuck crannog'. Dumbuck crannog excavation. Titled: 'Pile from Dumbuck crannog'. Dumbuck crannog excavation. Titled: 'Types of props or stays'. Dumbuck crannog excavation. Titled: 'Home from visiting the crannog'. Dumbuck crannog excavation. Titled: 'The crannog. Narrow path on causeway discovered 5 Oct.'. Dumbuck crannog excavation. Titled: 'Key to the Dumbuck crannog'. Dumbuck crannog excavation. Titled: 'Timber structure opposite no 1.2'. Dumbuck crannog lies on the north shore of the Firth of Clyde, close to Dumbarton Rock. 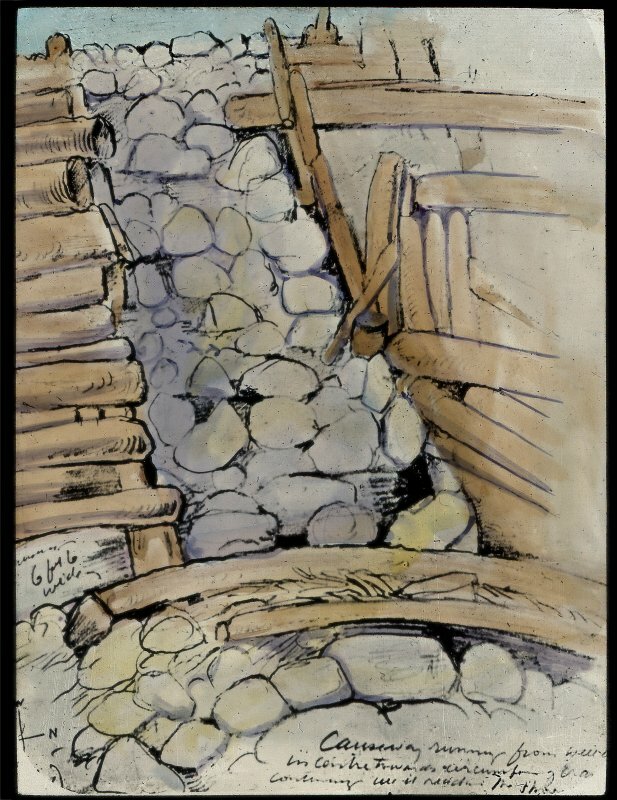 It comprised a platform of layers of earth, stone and brushwood, revetted by timber piles, on top of which a timber round-house had originally been built. 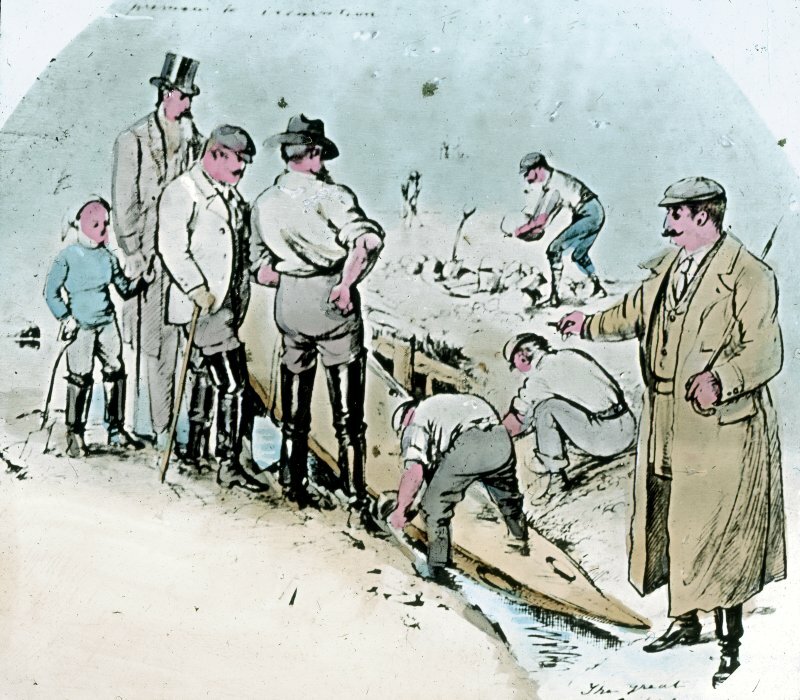 Excavations on the site in the late 19th century revealed a dock, still containing a logboat, adjacent to the platform, and radiocarbon dates indicate that the crannog was built sometime between 200BC and AD200. The Dumbuck crannog was discovered at NS 7157 7392 (OS 6" plan held by the Clyde Trust, Robertson Street, Glasgow) within the tidal water of the River Clyde, and excavated in 1898. The excavations revealed 27 oak pile stumps, 6' - 9' apart, forming a circle 50' in diameter within which was a floor of horizontal timbers. A breakwater extended around the structure, 12' - 14' away. 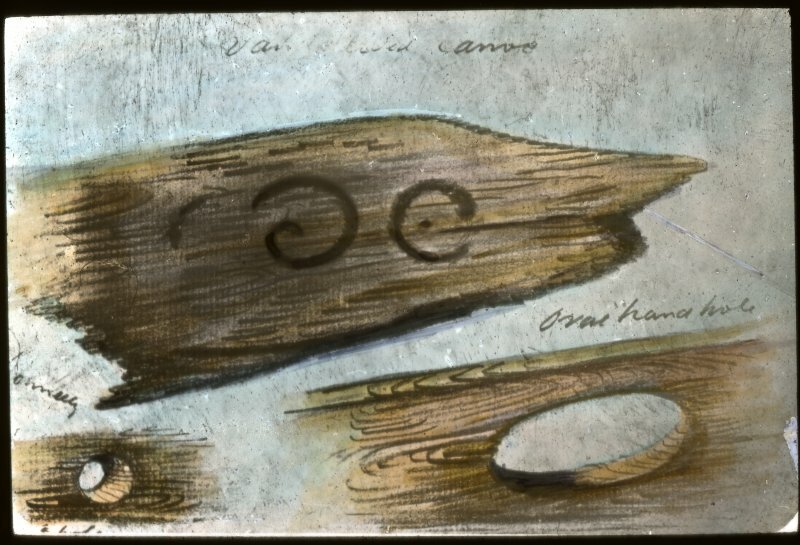 An oak dug-out canoe, 32' long, was found about 20 yds NE, lying within a dock-like structure connected to the crannog by a timber and stone causeway (J Bruce 1900). This crannog is notorious for the number of forged relics 'found' during the excavations. 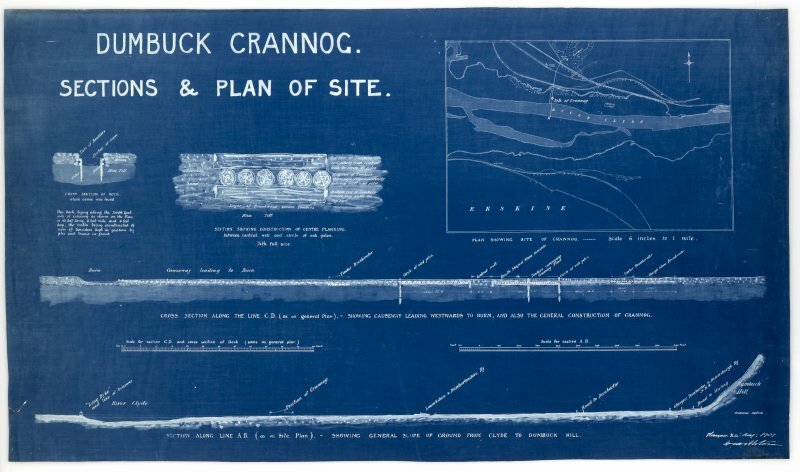 However, the crannog is genuine and there is no doubt about the remains of the dug-out canoe and of the ladder, over 13' long, cut with an axe out of an oak trunk, by which the canoe was reached (J G Scott 1966). These articles are in Glasgow Art Gallery and Museum (see NS47SW 22). 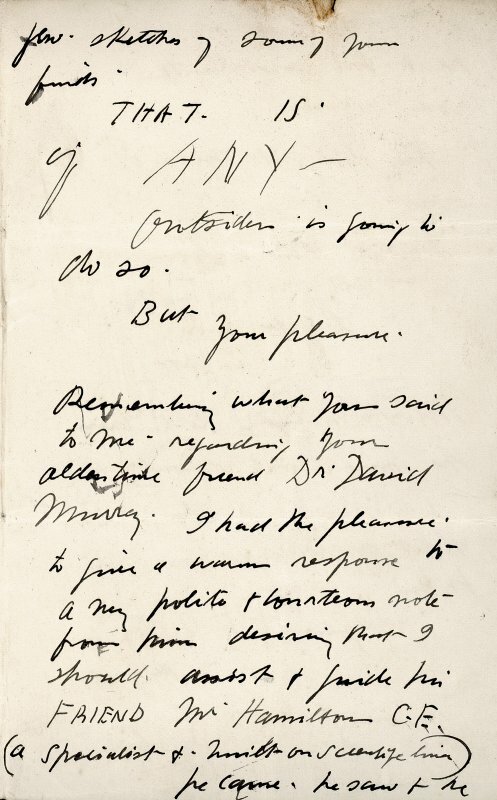 Visited by OS (JHO) 7 April 1951. 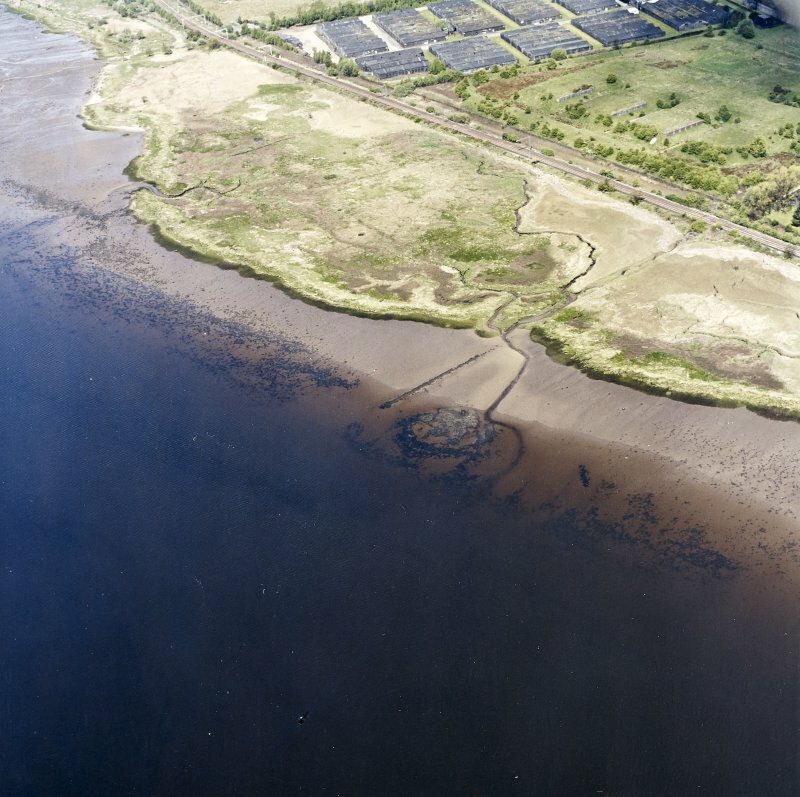 NS 415 739 This crannog was discovered within the tidal water of the River Clyde about 1.5km ESE of Dumbarton Rock. 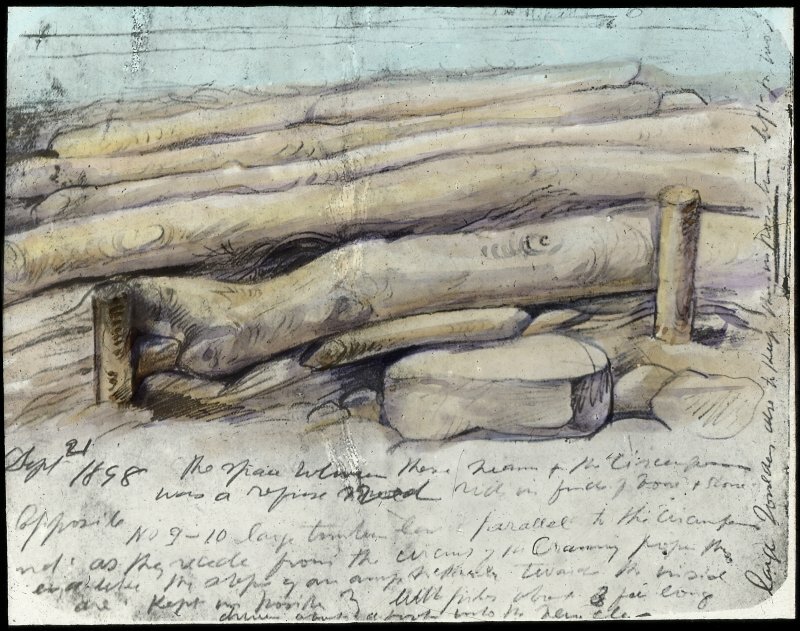 Excavation in 1898 revealed timber piles enclosing an area 15.2m in diameter on which there was a flooring of horizontal timbers. Supports for a superstructure were also apparent. 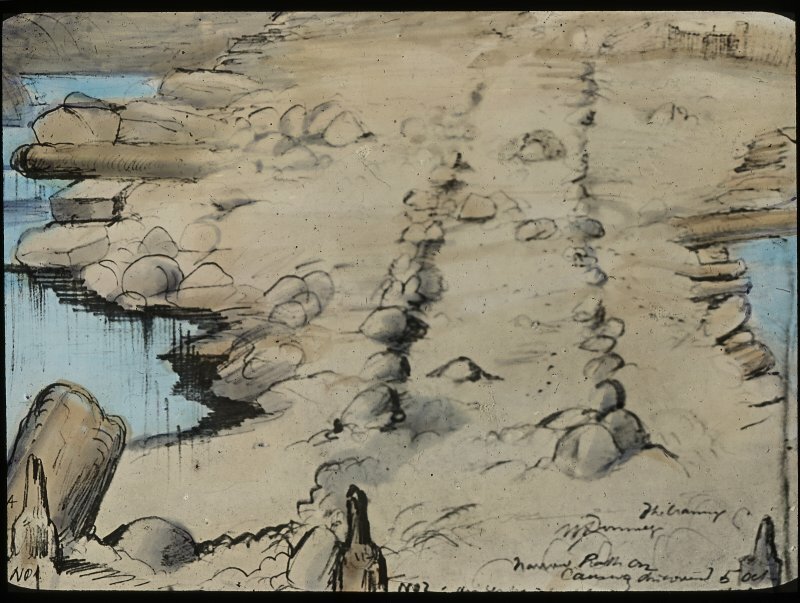 The remains of a stone break-water encircled the crannog and a causeway linked it to a 'dock-like structure' containing a dug-out canoe (now in Glasgow Art Gallery and Museum). 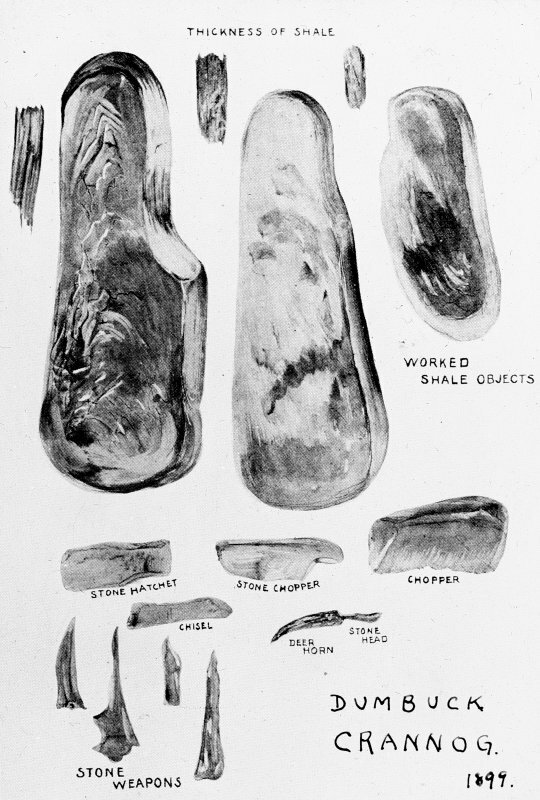 The finds included a number of faked weapons and other objects of slate, most of which are now in the National Museum of Antiquities of Scotland. (Location established as NS 4158 7393). 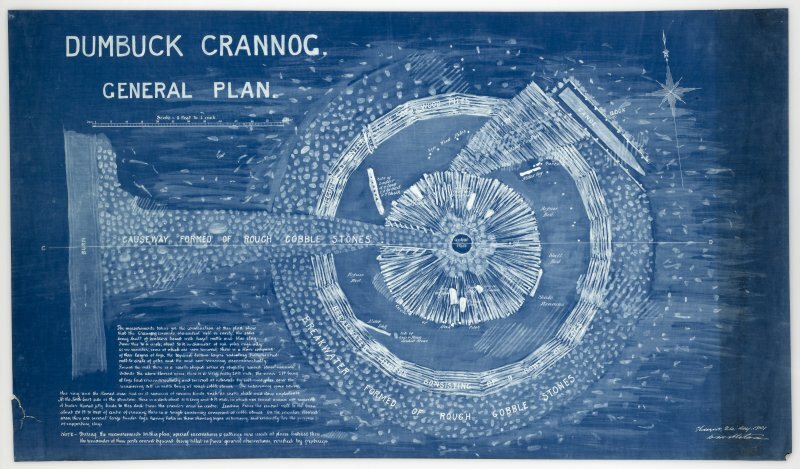 In 1898 a logboat was discovered about 20 yards (18m) NE of the well-known crannog that was then under excavation by Bruce and Donnelly. 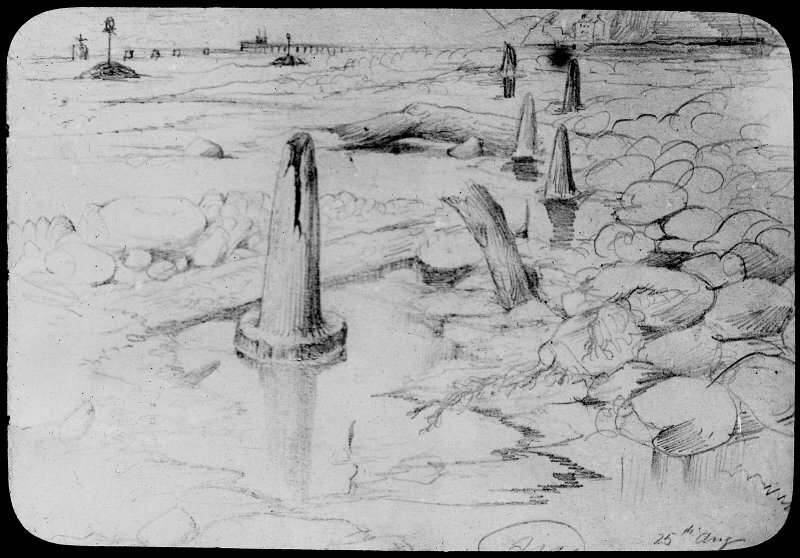 It was found within a 'dock-like structure' formed of 'walls...of wood and stone' which was supported by piles and linked to the crannog by a causeway. 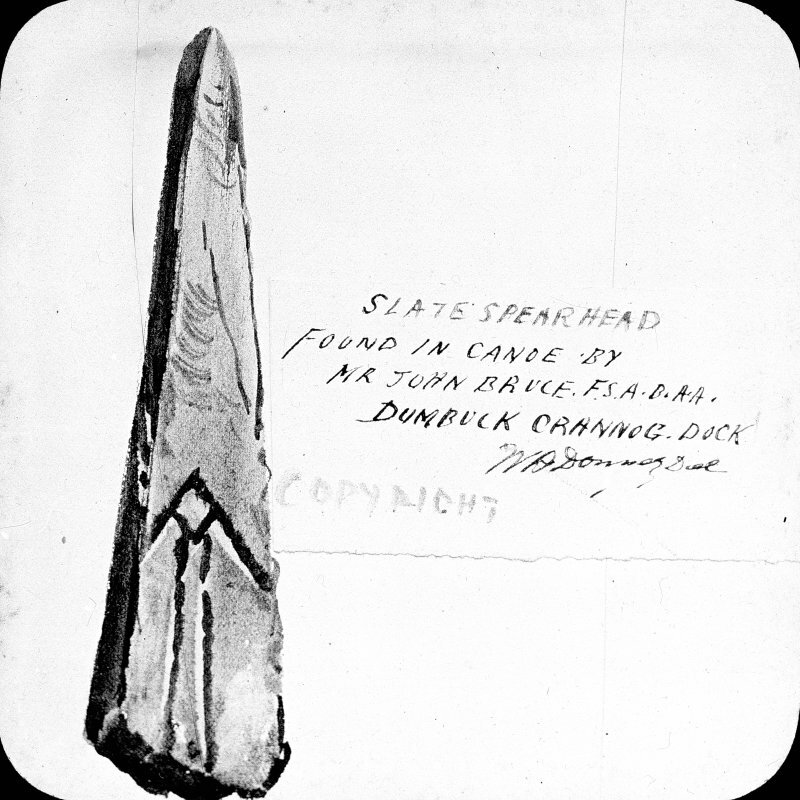 The pointed 'prow' of the boat was towards the river, and there is no indication that it was found at any great depth. 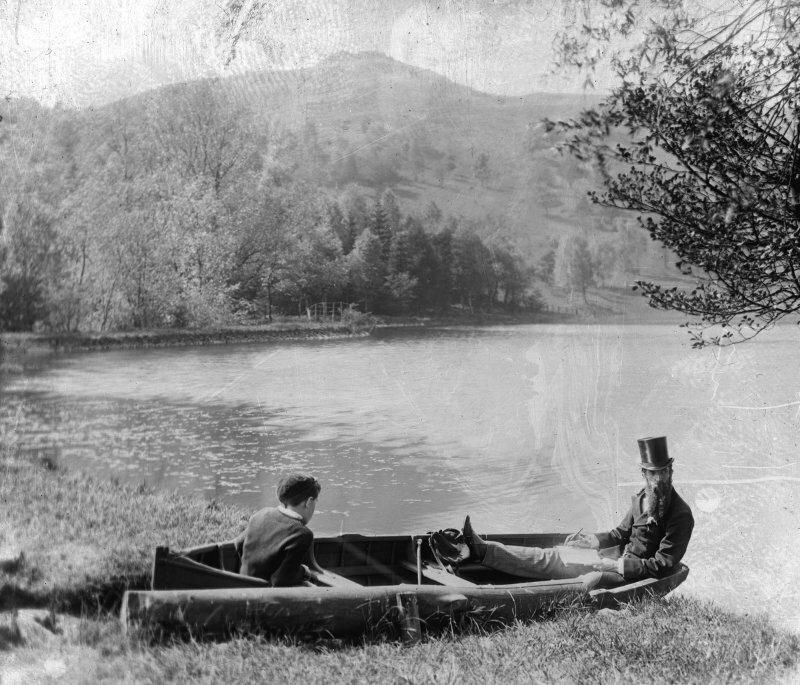 The boat immediately attracted much attention, largely on account of the decorated stone, bone and shell artifacts that were found within it; some of these are held in the Glasgow Art Gallery and Museum under accession number GAGM *57-96. 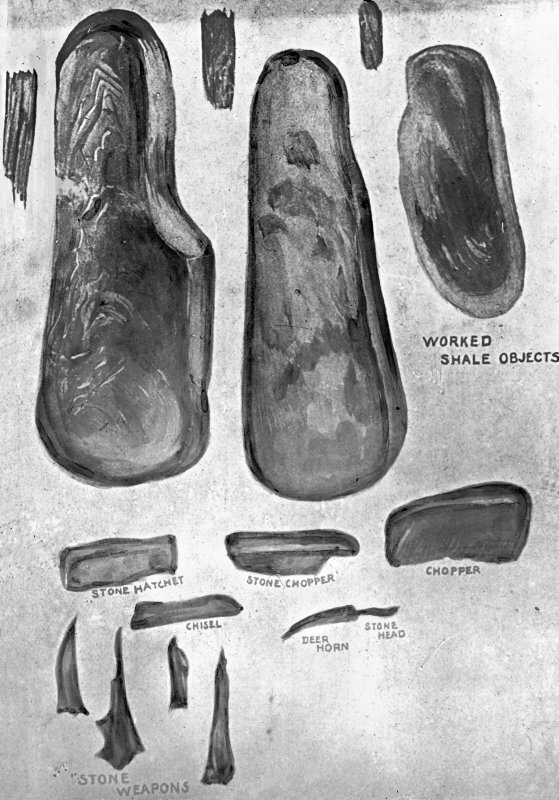 The authenticity of these objects was doubted (most notably by Munro) and they are now universally rejected as false, but the antiquity of the logboat (and of the probable ladder that was found with it) have never been called into question. No dateable objects were found in the excavations and the date of both crannog and logboat remain uncertain, although there is no reason to doubt the conventional broad attribution to the Later Prehistoric or the Early Historic period. On discovery, the logboat measured 35'7" (10.9m) in length over all, but before it was transferred to the museum a 'portion of the prow, which tapered to a point, and which showed two oval hand holes' was removed and lost, reducing the length to 33' (10.1m). 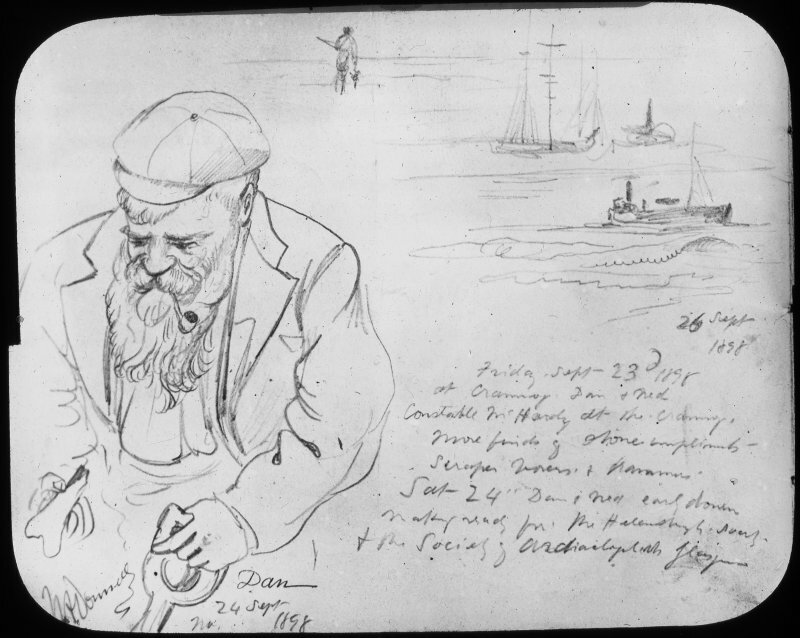 The boat measured 4' (1.2m) in beam at the 'square' stern and was 2' (0.6m) 'deep', indicating manufacture from a half-sectioned log. There is no recorded evidence for a transom. 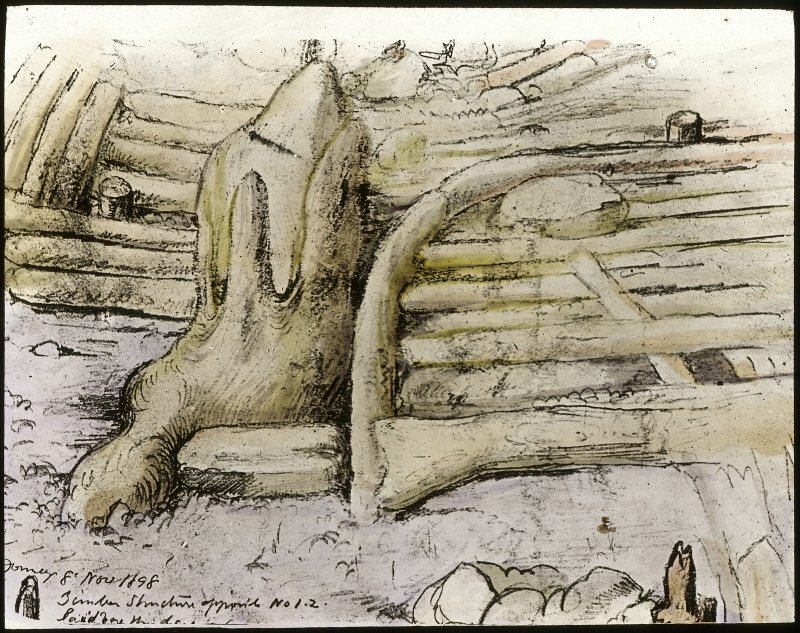 Several 'well fitted, soft wood clamps'" (intended to hold together a split in the floor) were noted, as were several 'plugged holes' and 'marks where the seats were fitted'. 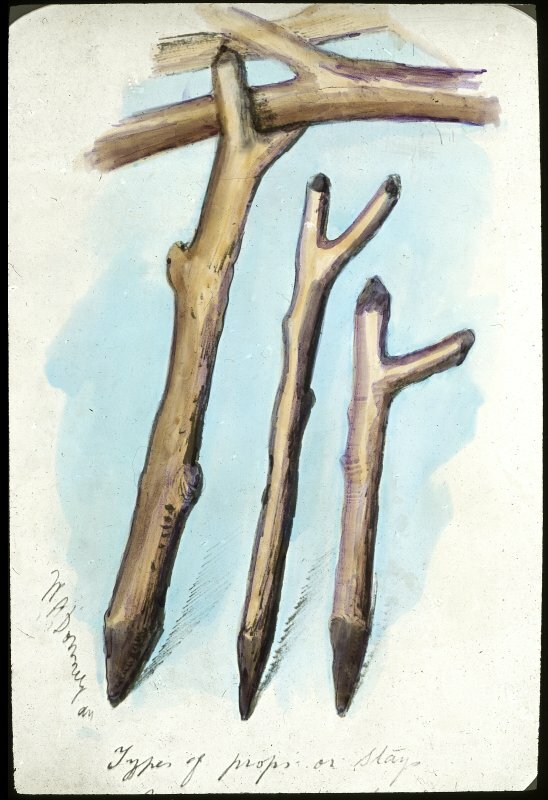 The timber was identified as 'oak'. 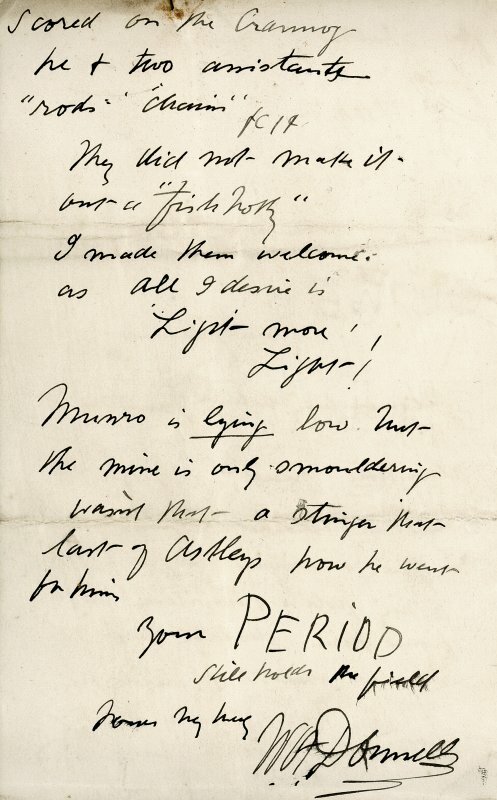 The boat was presented by the Marchesa Chigi of Dumbuck to the Glasgow Art Gallery and Museum and is displayed under accession number GAGM *98-217a. It has been reduced by drying to a distorted, shrunken and greatly-split plank which measures 9.4m in length, up to 0.9m in breadth and between 50mm and 60mm in thickness. One end (probably the original bow) is roughly pointed while the other is greatly split but has apparently been squared across to form the stern. The timber has warped noticeably, causing the outboard parts of the floor to take on a very noticeably dished form, while the sides have split away just above the floor, leaving evidence of right-angles at the junctions. 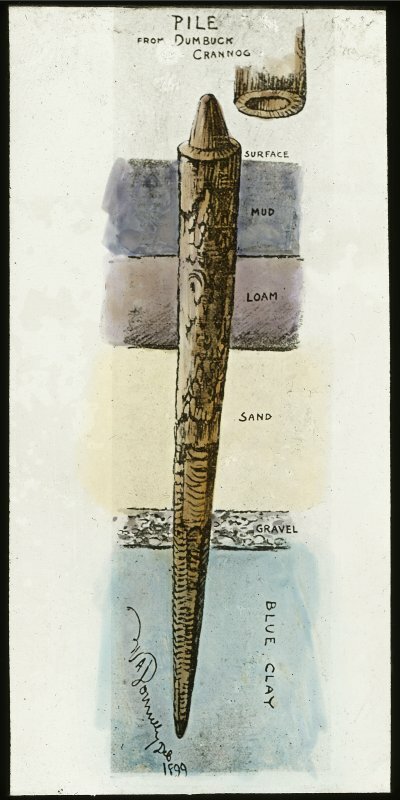 The boat was probably damaged during removal; a jagged hole near the pointed end is most probably thus explained while one of the split portions of the sides has been truncated by sawing. 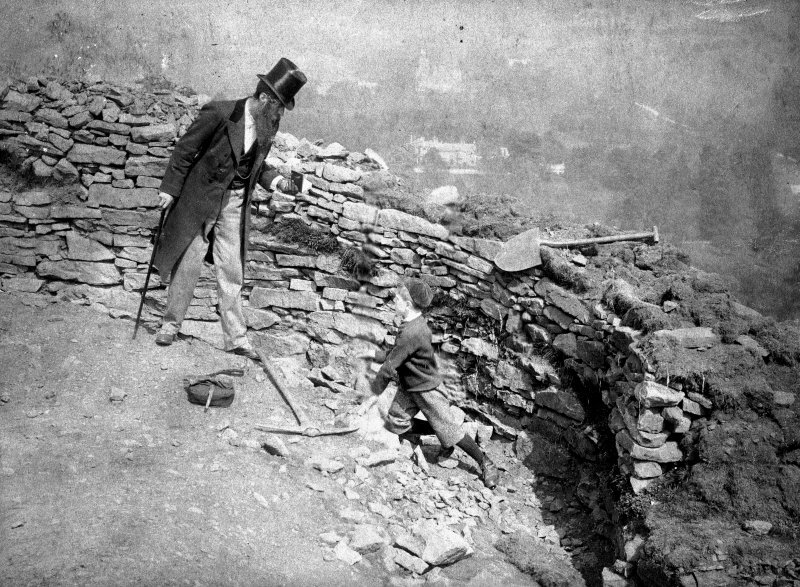 Nothing can be seen of the repair-clamps that were originally noticed, or of any evidence for such internal features as seats, thwarts or fitted ribs, but a slight scrape measuring about 25mm in breadth near the edge of the floor may be the remains of a tool-mark. The floor is pierced by six vertical thickness-gauge holes disposed in pairs along opposite sides, and also by several knot-holes; the former measure between 40mm and 75mm longitudinally and between 30mm and 60mm transversely. Distributed less regularly along the floor of the boat, but generally close to the sides, there are four uncompleted thickness-gauge holes which measure between 30mm and 45mm longitudinally by between 20mm and 30mm transversely, and penetrate the timber to a depth of between 10mm and 25mm. A comprehensive analysis of this boat is feasible on the basis of various accounts and the incomplete remains. It was of exceptionally narrow form, having a slenderness coefficient of 8.8 and the relatively high value of 2 for the beam/draught coefficient indicates a high capacity for low-density cargoes. The displacement of 4.76 cubic metres under standard conditions falls within the middle of the normal range, while the McGrail morphology code can best be assessed as 1xx:xx1:3xx, and the form as dissimilar-ended. 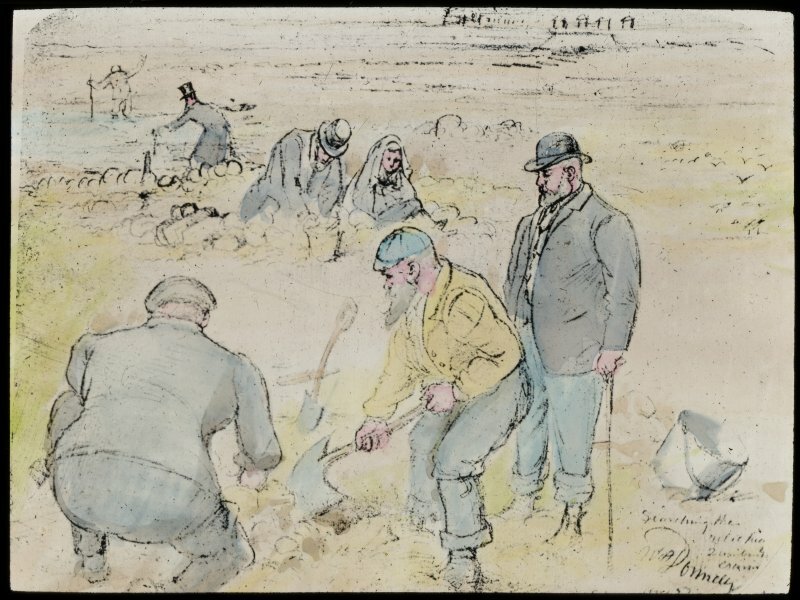 D Murray 1898; Glasgow Herald, 1899; R Munro 1899; J Bruce 1900; A Lang 1905; J G Callander 1929; RCAHMS 1978; R J C Mowat 1996, visited August 1987. NS 4157 7392 Substantial structural remains found in the 19th century were resurveyed at low tide periods during the summer of 1997. The survey revealed a circular wooden platform surrounded by 22 piles. The internal platform consists of surface horizontal timbers aligned both radially and circumferentially. Around the platform is a circular stone 'breakwater'. 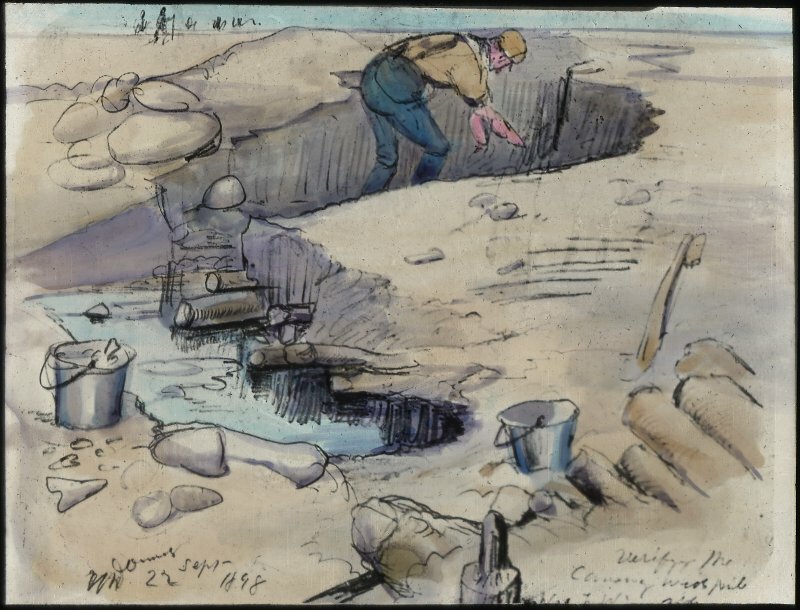 Other features include the remains of a central circular feature, referred to in 1900 as a 'stone-walled cavity ... with wattle or basket-work'. 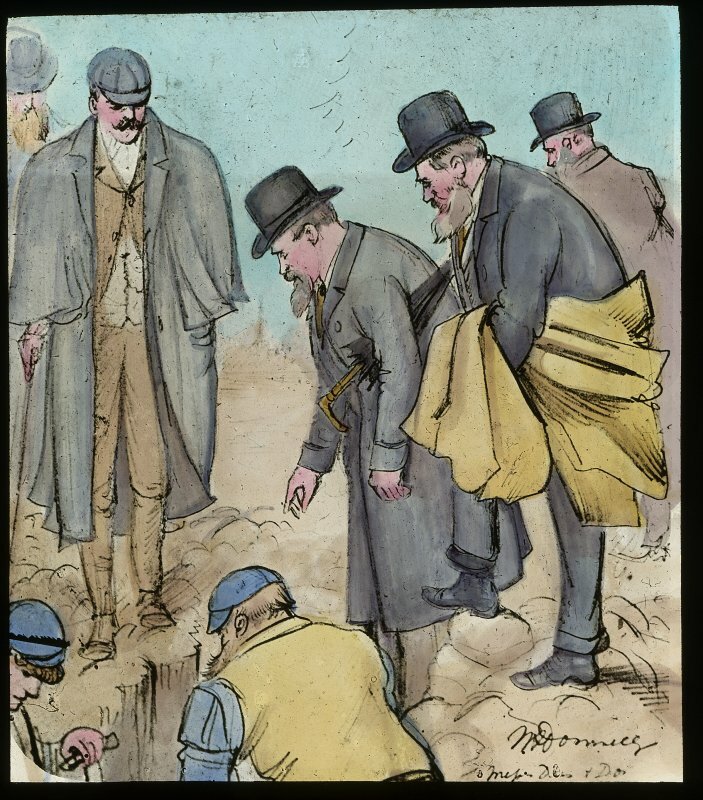 Previous investigations referred to a dock structure to the E of the site, but this could not be found. 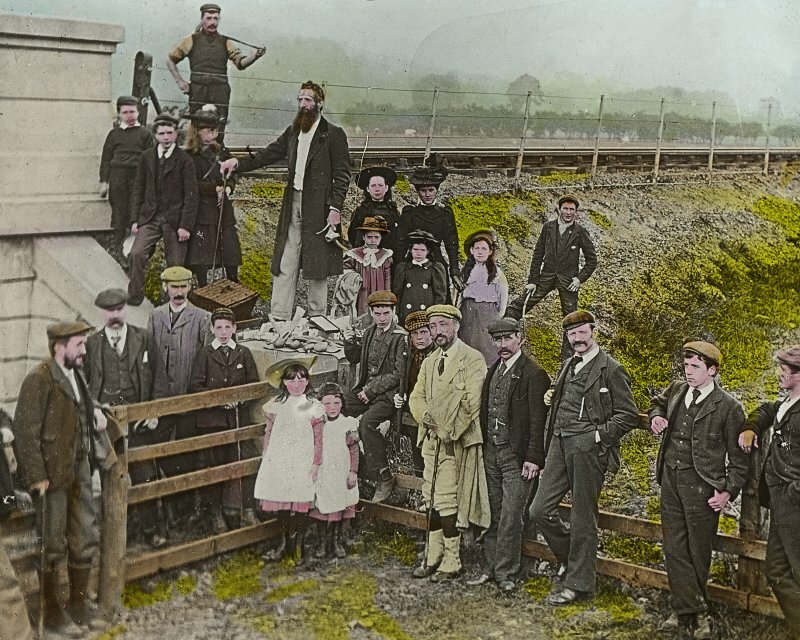 The 19th-century spoil heap and fence post, which held a sign during excavation open days, were found. 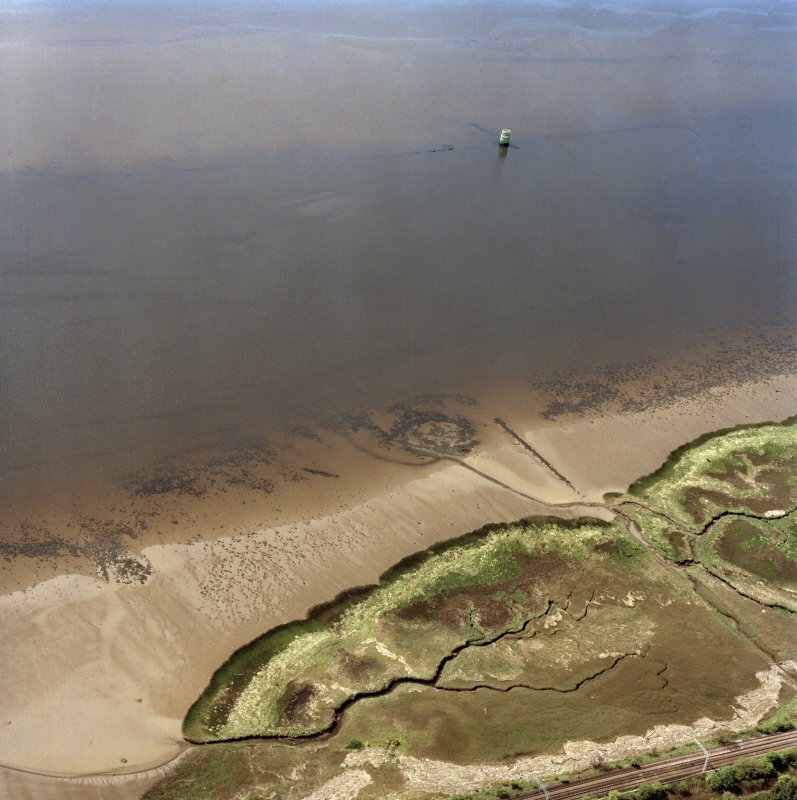 The site is approximately 50m from the present HWM and becomes completely covered by high tide. It appears to be under threat from marine erosion which has badly damaged the surface piles and horizontal timbers. A number of the surface and sub-surface timbers were sampled for species identification and for potential radiocarbon dating. NS 4157 7392 A survey of the site, surrounding intertidal zone and documentary evidence was undertaken as part of a research project to commemorate the centenary of the initial excavation of this site (NMRS NS47SW 8). The site survey relocated timber structural elements such as the ring of oak piles and some of the horizontal platform timbers. It also identified the location of the dock feature, to the NE of the main platform. Off-site sampling was carried out to sample evidence of palaeoenvironmental remains and one of the oak piles was sampled for dendrochronological analysis. 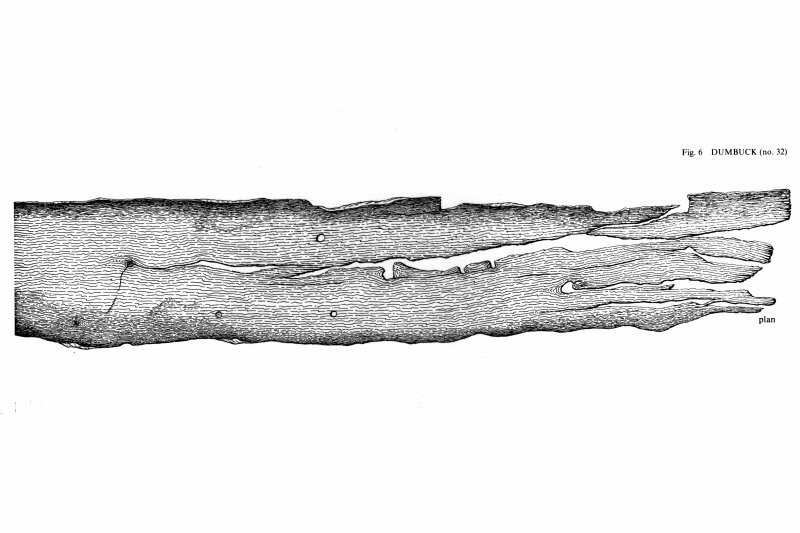 NS 4157 7392 A trench was excavated on the edge of the Dumbuck crannog timberwork. 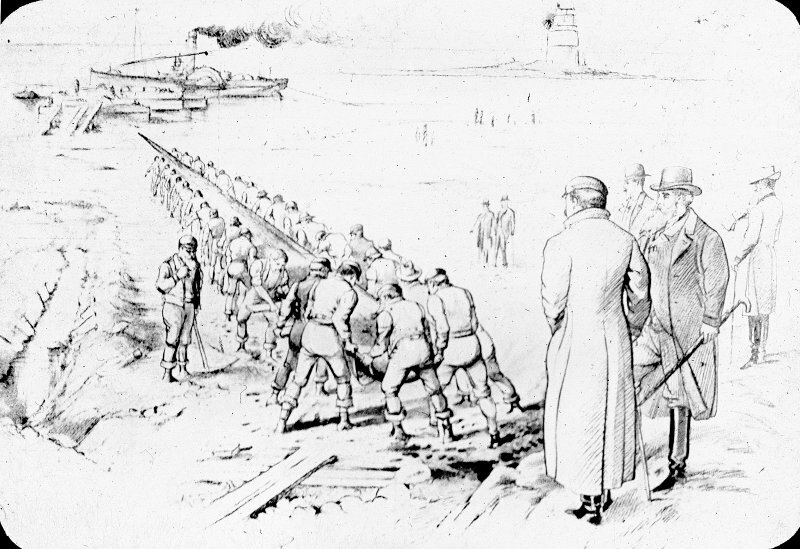 The trench revealed that the timberwork on the central platform comprises radially placed branches laid on top of circumferentially positioned foundation beams. Sampling of both sediment and organic deposits aims to analyse the surfaces onto which the structure was built. Small finds include animal bones and a small carved stone which has similarities to the fakes found on the site when it was excavated in 1898. 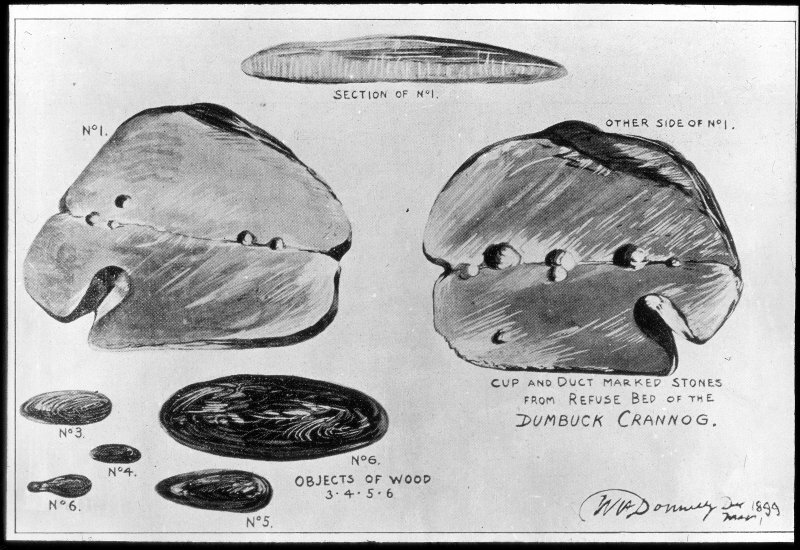 Drawings of plan and sections of Dumbuck Crannog in 1901 by Ian Alston in the Society of Antiquaries of Scotland Collection. NS 4157 7392 A survey of the site, surrounding intertidal zone and documentary evidence was undertaken as part of a research project to commemorate the centenary of the initial excavation of this site (NMRS NS 47 SW 8). 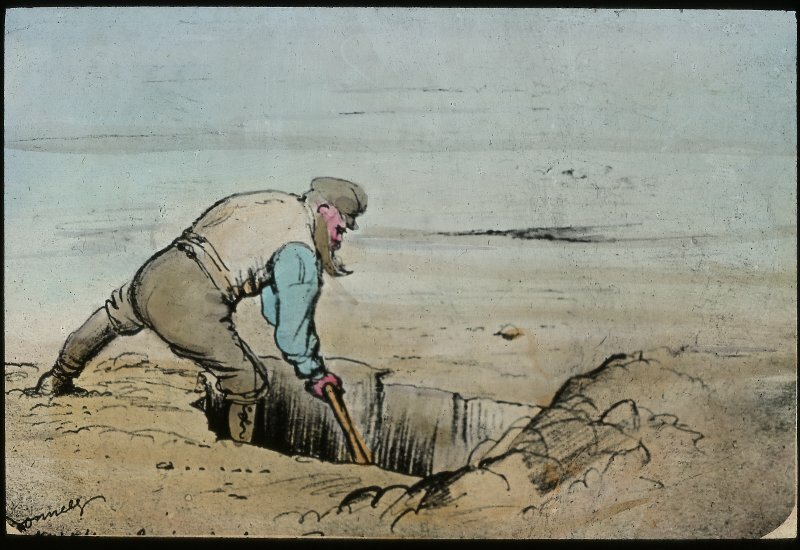 Discovery and context / An island idylls or evidence of hard work? 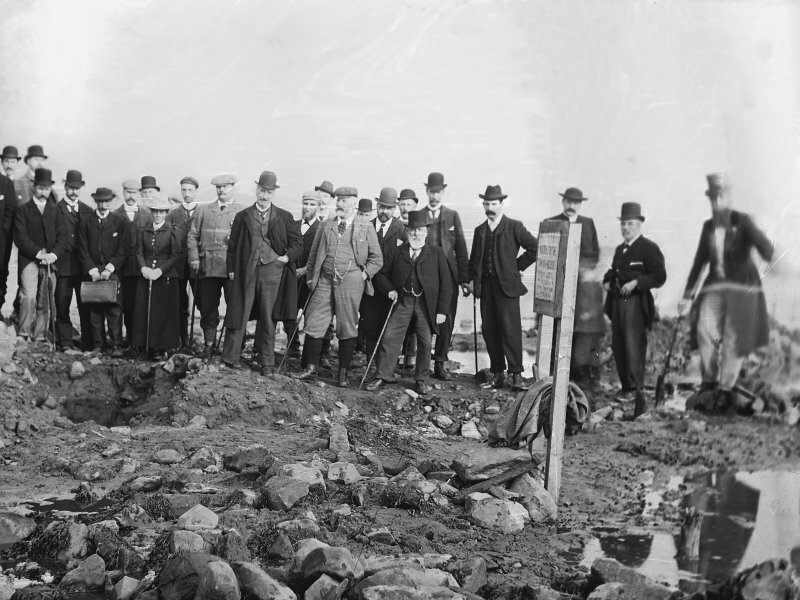 On Sunday 31st July 1898 William Donnelly was walking along the banks of the Clyde, just to the east of Dumbarton Rock, when he found the remains of what turned out to be a circular timber platform, preserved in the intertidal mud. 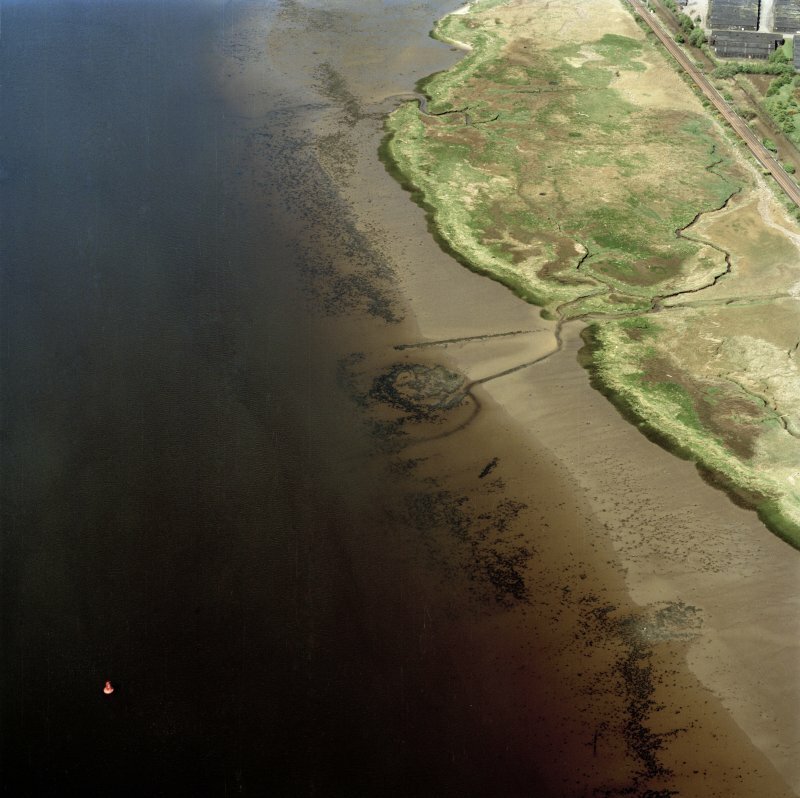 Donnelly had discovered the first of four marine crannogs surviving in the inner Firth of Clyde. Crannogs are found across Scotland and Ireland, mainly in freshwater lochs, but there are nine known around Scotland’s coastline, found in estuarine conditions. The preservation on crannogs can be amazing because they are situated in water and are generally covered by mud! Crannogs today evoke something of a romantic notion of living in the past. Historically, this involved stories that create an image of islands surrounded by mist, in blissful isolation. 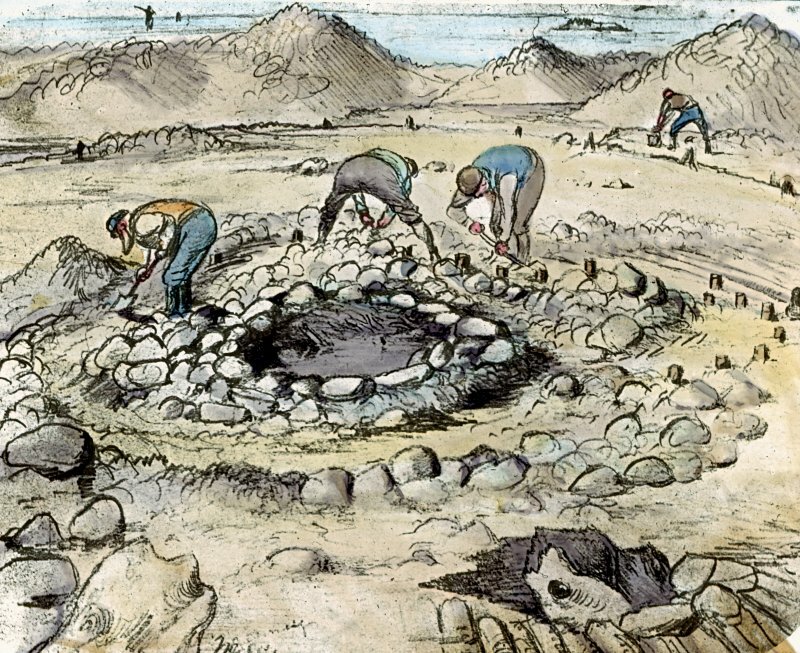 However, excavation and analysis has provided evidence that crannogs were the fruits of hard labour, which was required to build these complex timber structures. We also know that many of them were occupied at similar times as the settlements on land, and formed part of interconnected communities. As a result of years of excavations on crannogs we are able to reconstruct their form and some of their functions. 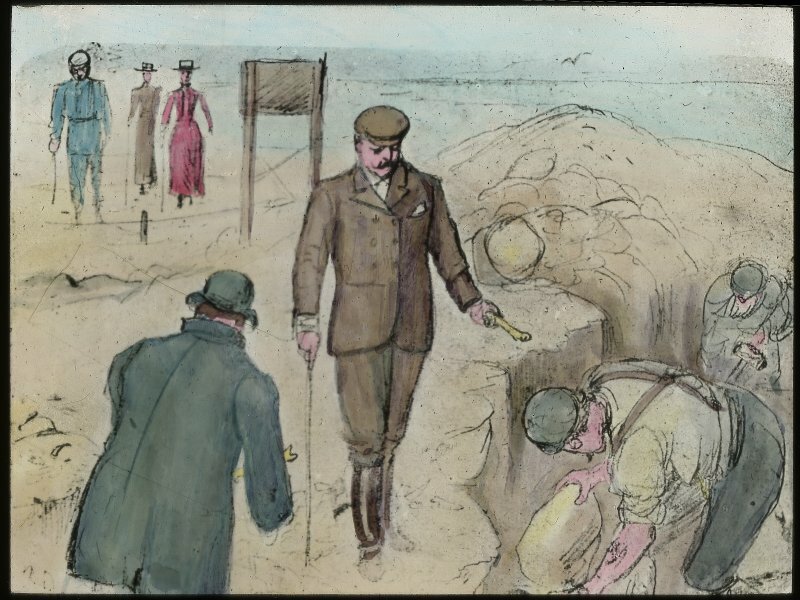 For example, archaeologists have recovered collapsed timber walls, found floor levels superimposed one on top of the other and excavated textiles and animal skins, which could have been used for clothing. Clearly both structural remains and individual finds from crannogs can tell us a lot about past lives. 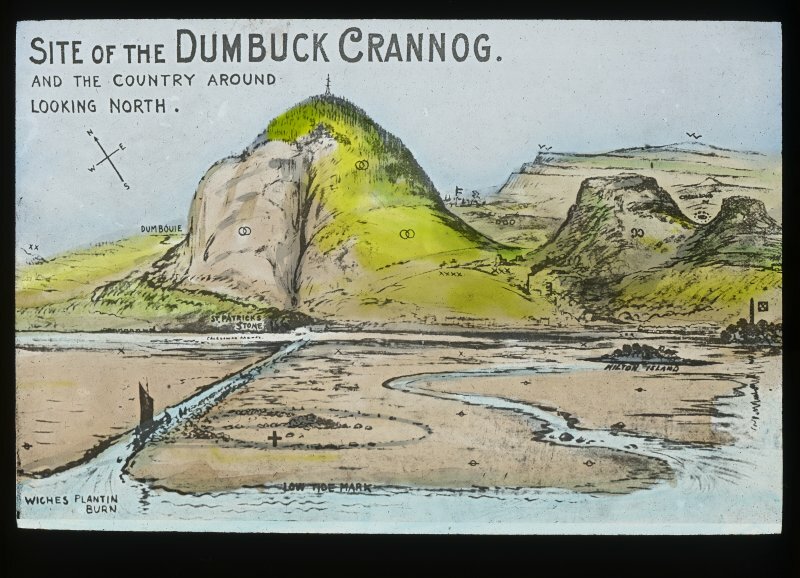 Dumbuck is a crannog with two stories: the archaeology of an Iron Age site and the story of a Victorian excavation and controversy. 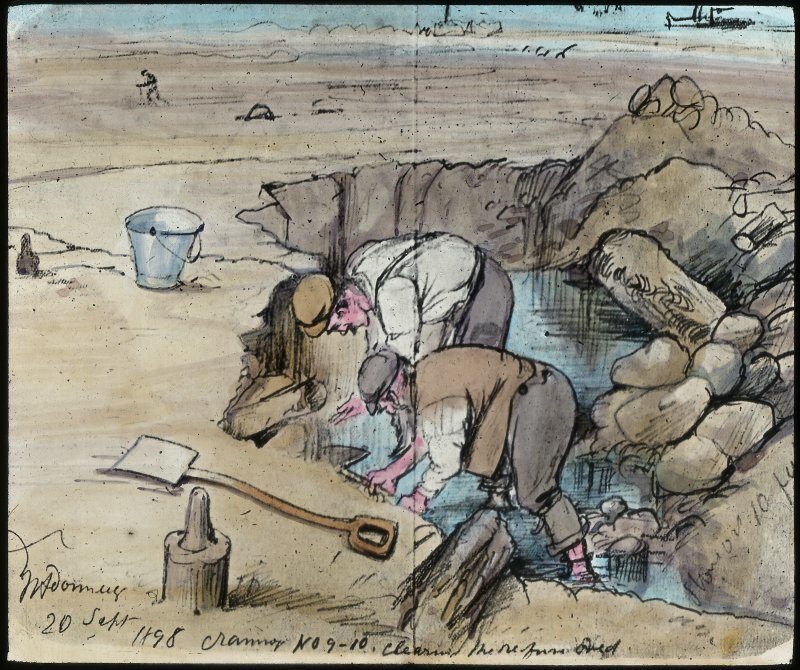 A recent book charts the history of the Victorian excavation, and uses archive material held by HES and accessible through Canmore to reconstruct a diary of events (Hale and Sands 2005). 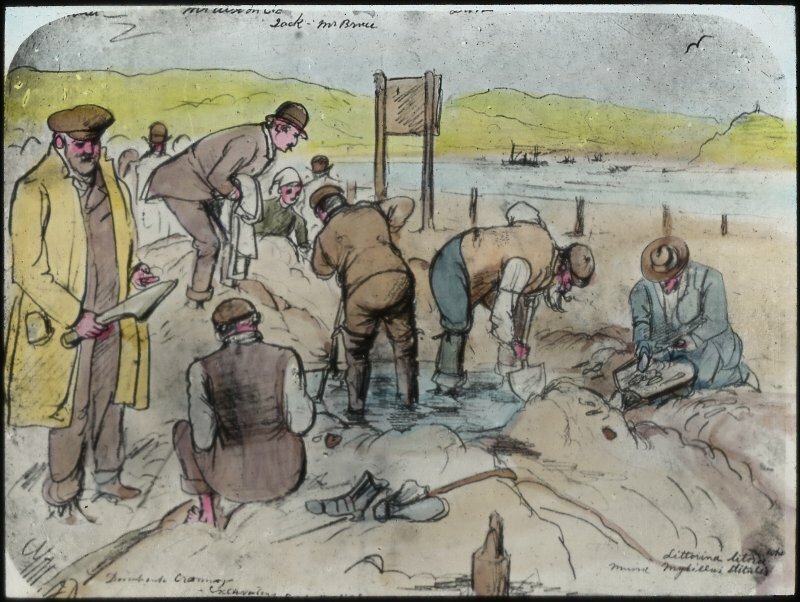 Excavations by William Donnelly and the Helensburgh Naturalist and Antiquarian Society over the summers of 1898 and 1899 discovered the overall plan of the site, along with a 12m long log boat in a wooden dock and a wide range of small finds. 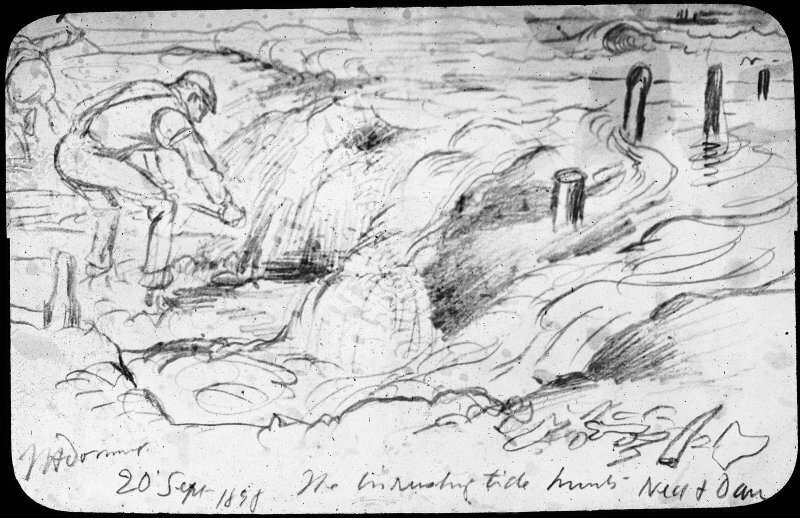 Donnelly and his team were able to excavate the timber platform, which comprised oak upright posts encircling horizontally laid alder timbers. These timbers were specifically chosen as they are resistant to rotting in wet conditions. 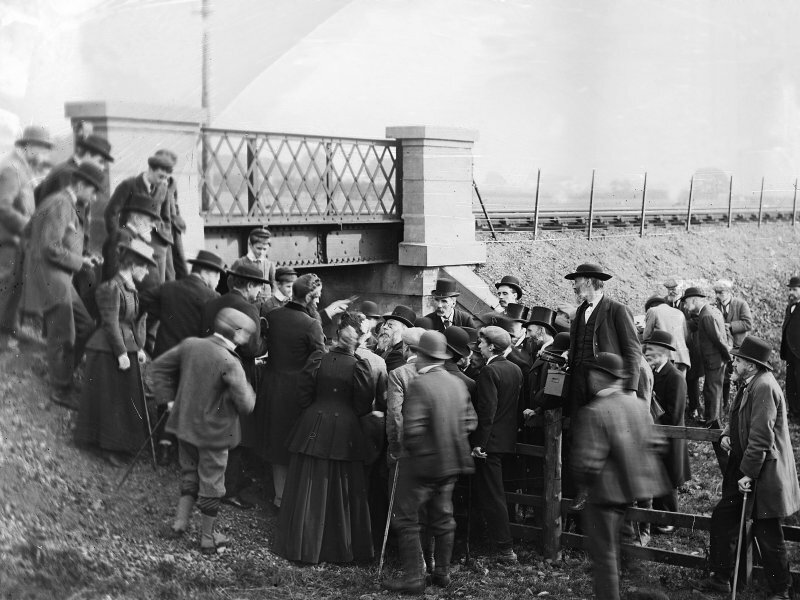 The platform was surrounded by a stone and timber breakwater, which may have been a later construction, as a result of the water-levels changing. 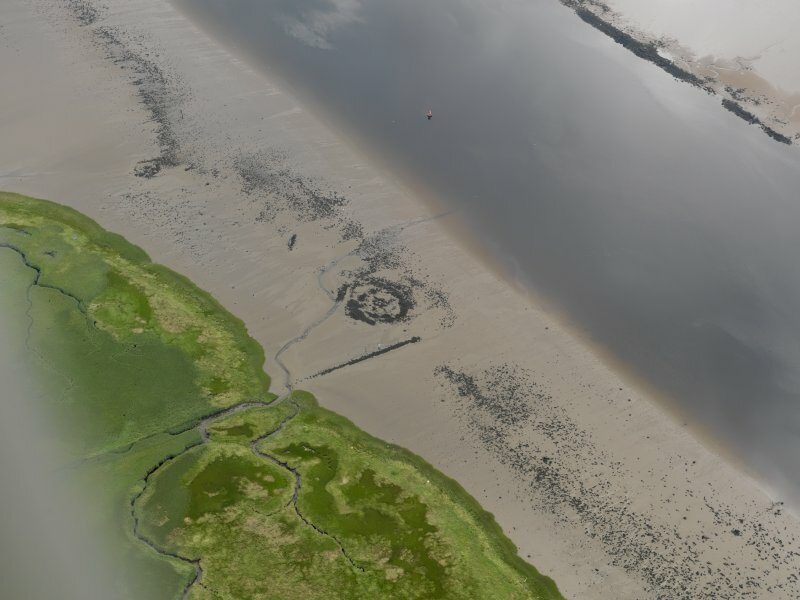 Excavations at other marine crannogs have established that these sites were built at the very edge of the tide mark and were positioned specifically for access to and from the tidal waterways. 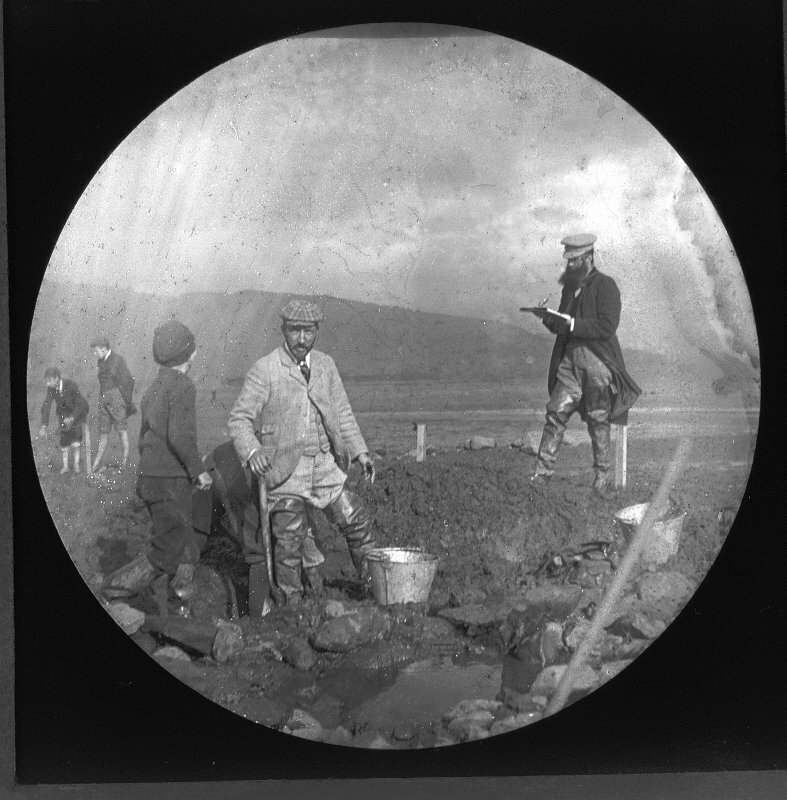 During the excavations a number of small finds began to attract the attention of not only the archaeological community, but also the wider press. A series of unusual figurines and stone objects with carvings on them were being recovered. 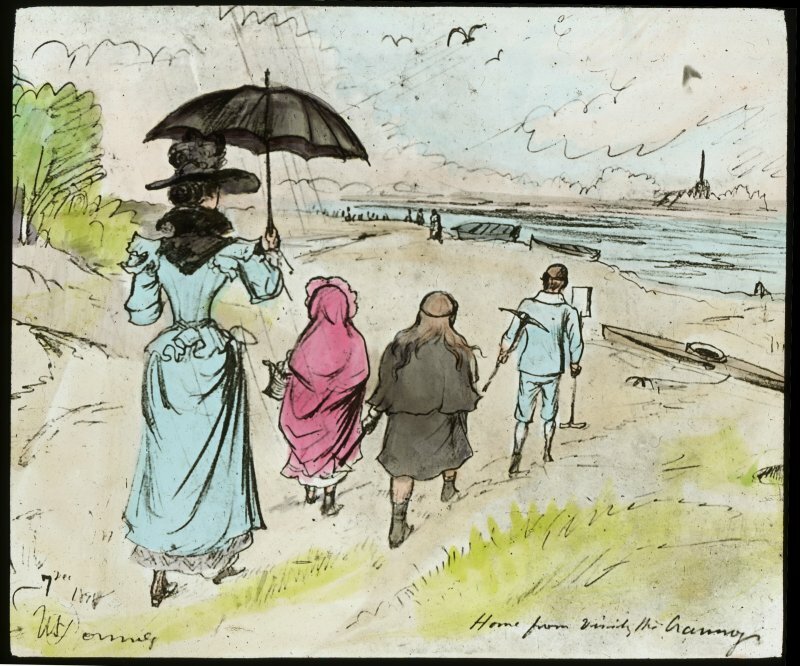 The objects became known as ‘the queer things of the Clyde’. 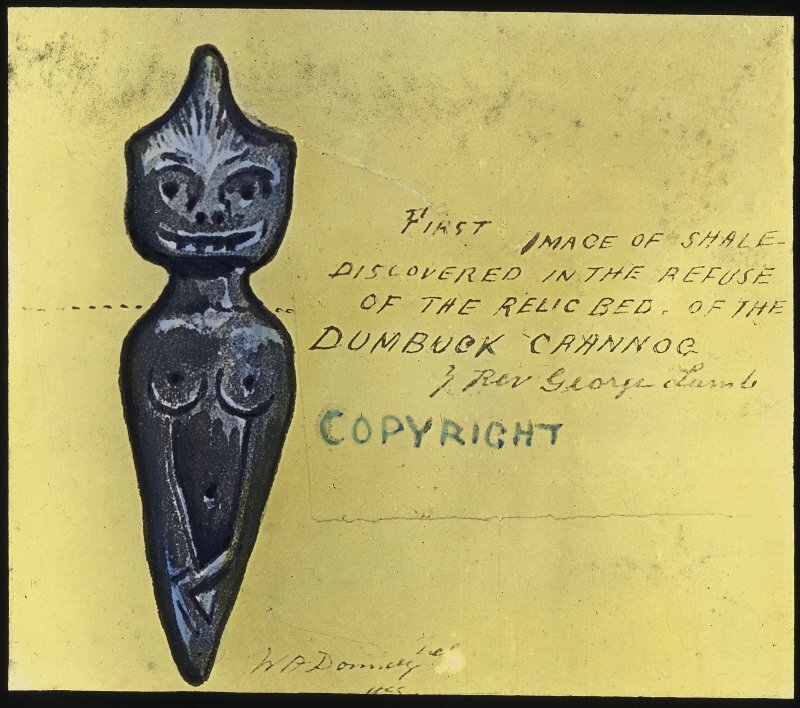 Donnelly believed the objects to be original to the crannog and part of the culture at the time. 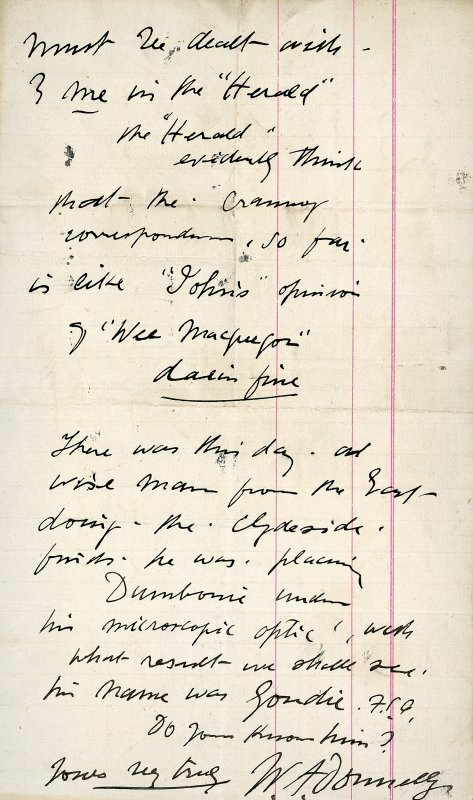 However, other archaeologists, such as Dr Robert Munro, then a crannog expert, were not convinced. 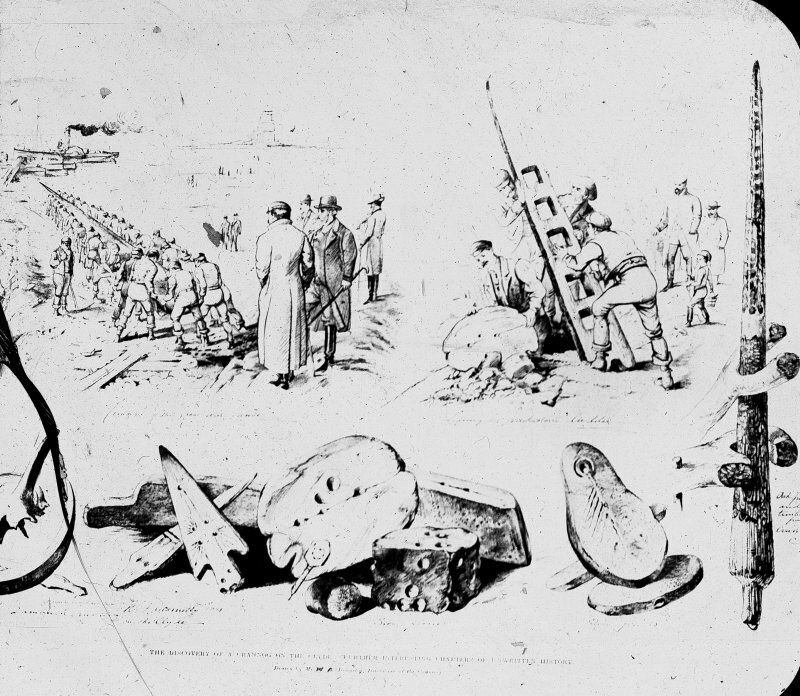 The finds led to a long-running debate, which at times became very personal and unpleasant. 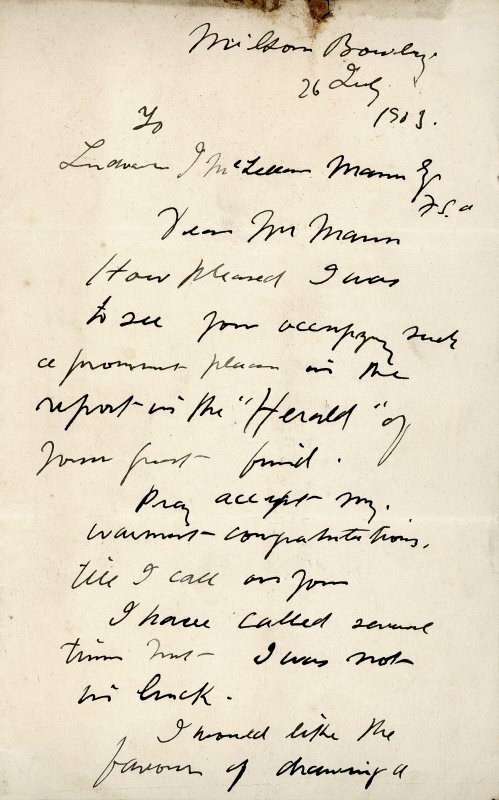 Archive material such as newspaper cuttings and personal letters chart the conversations between the excavators in the west and the archaeological ‘big guns’ in the east. 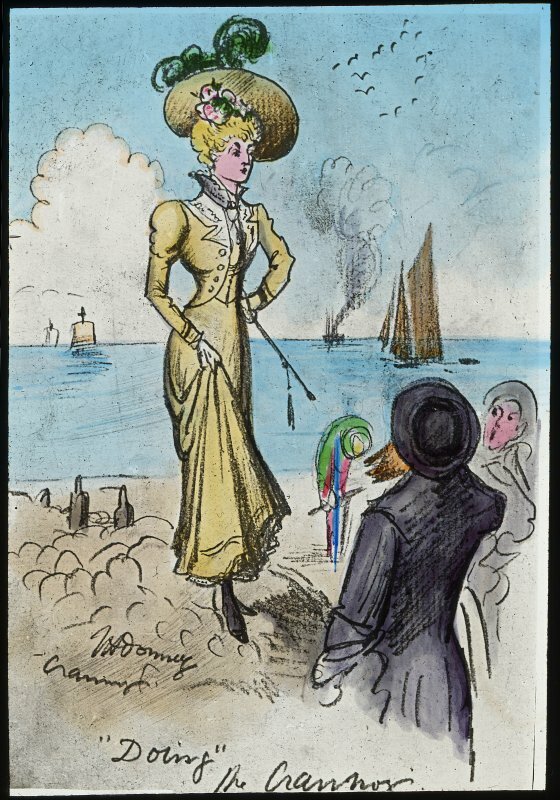 Donnelly died in 1905 and the controversy ebbed away like a falling tide. Subsequently, the small finds made their way to the National Museum of Scotland where they are still stored. Recent re-evaluation of the finds makes it clear that they were forgeries, possibly created by more than one person and certainly some of them were made to look like some of the visitors whom can to see the excavations. 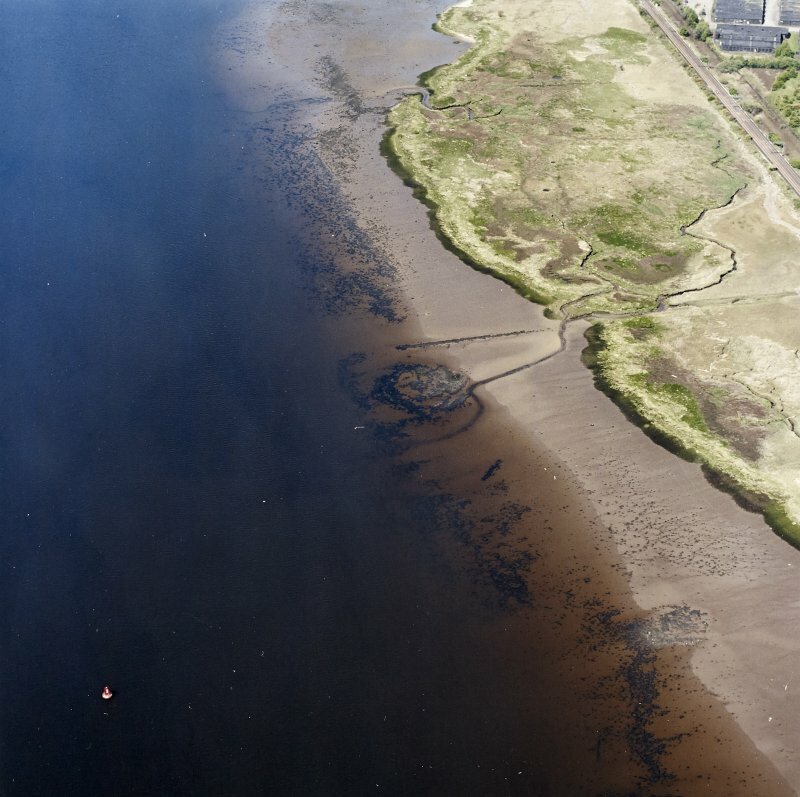 A programme of re-evaluation of the site since 1998 by Alex Hale (HES), Rob Sands (University College Dublin) and more recently with Piotr Jacobsson (SUERC) resulted in a number of new discoveries and enabled our understanding of the Clyde crannogs to develop. 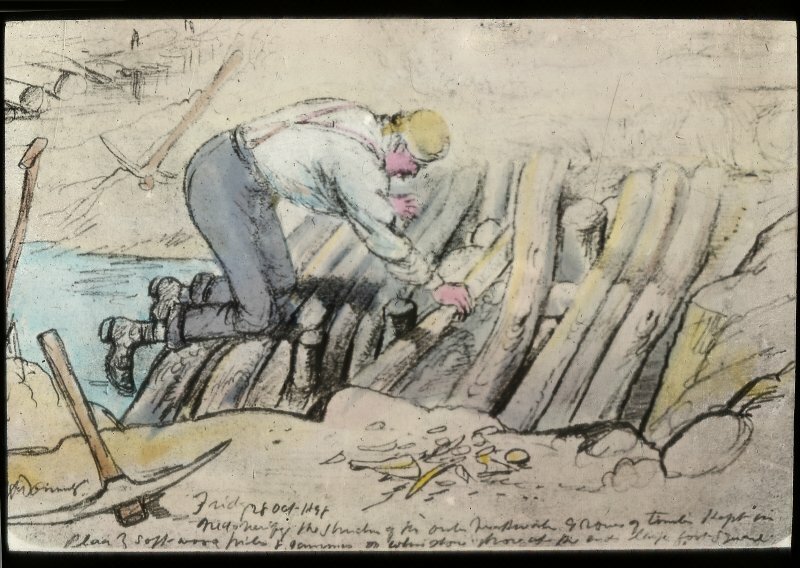 Small-scale excavations have established a better understanding of construction techniques and the timber dock where the log boat was housed was re-located. The site was re-mapped and a series of samples from the timber platform were taken for dating purposes. Scientific analysis of the samples, by radiocarbon dating and something called ‘Wiggle matching’ has narrowed down the construction of Dumbuck to between AD 5 and AD 55 (Jacobsson et al 2017). But during the excavation in the summer of 2000, Alex and Rob discovered another ‘queer thing’ amongst the timbers of the platform. 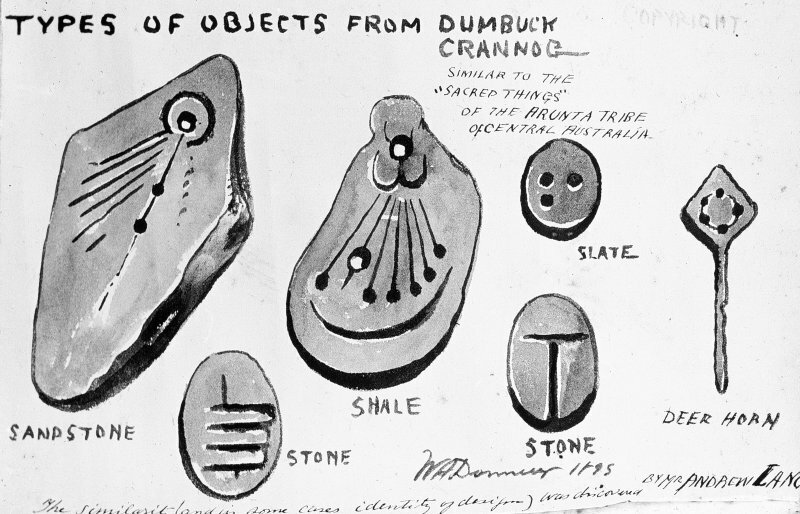 Clearly the objects are fakes and they do not relate to the later Iron Age, when the crannog was built, but who put them there remains the unsolved mystery of Dumbuck crannog. Dixon T N (2004) The Crannogs of Scotland. Tempus Publishing, Stroud. Hale A and Sands R (2005) Controversy on the Clyde. 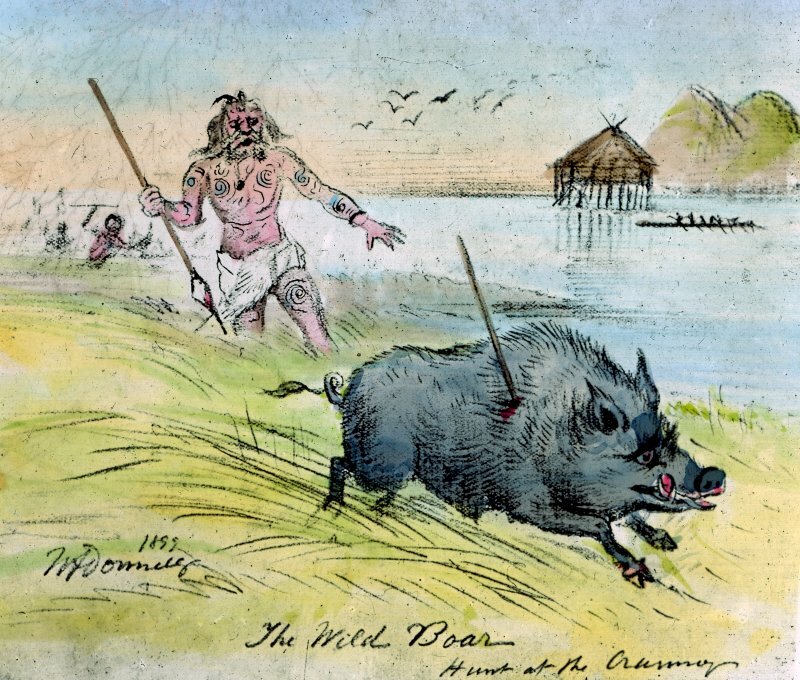 Archaeologists, Fakes and Forgers: The Excavation of Dumbuck Crannog. RCAHMS, Edinburgh. 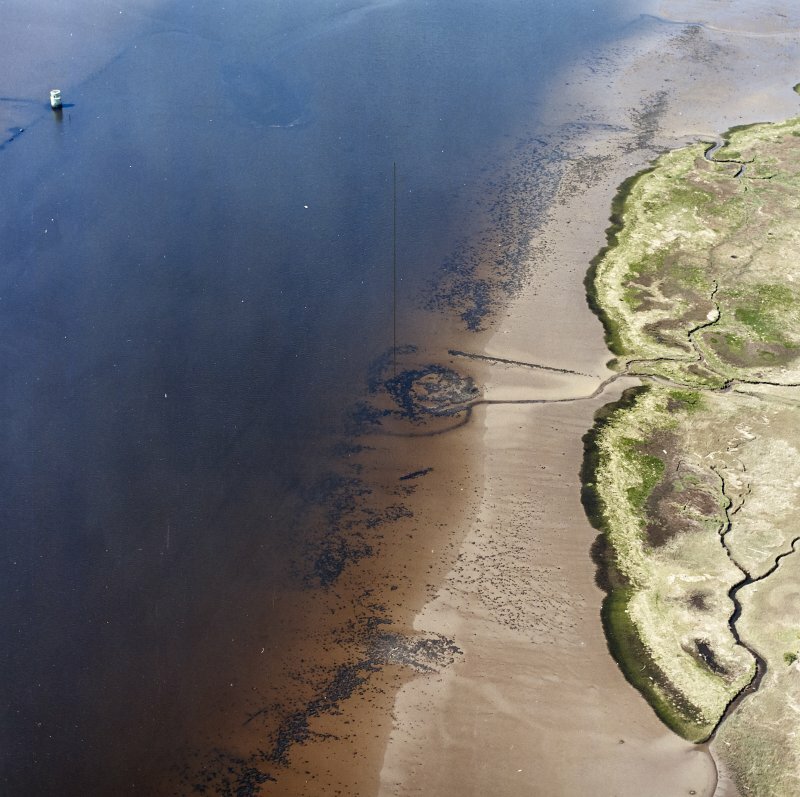 Jacobsson P, Hale A, Hamilton D and Cook G (2017) Exploring site formation and building local contexts through wiggle-match dating: re-dating of the Clyde estuary crannogs, Scotland. European Journal of Archaeology, vol 20 (2017 forthcoming).